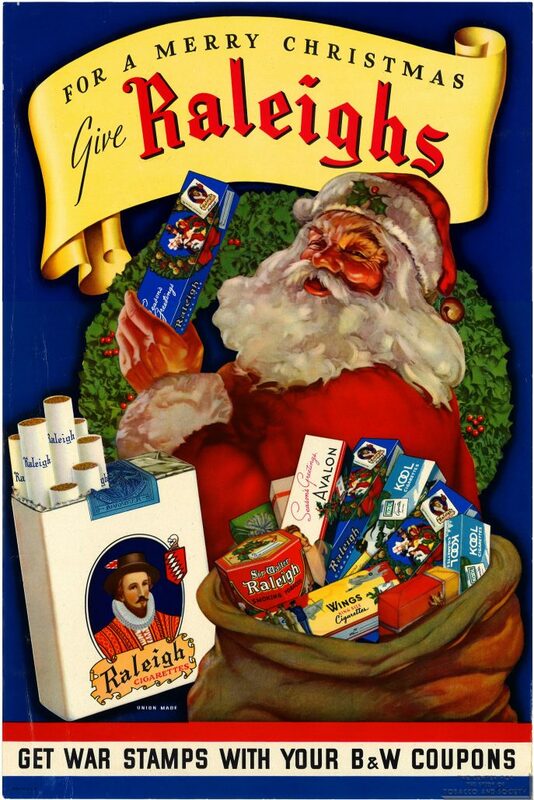 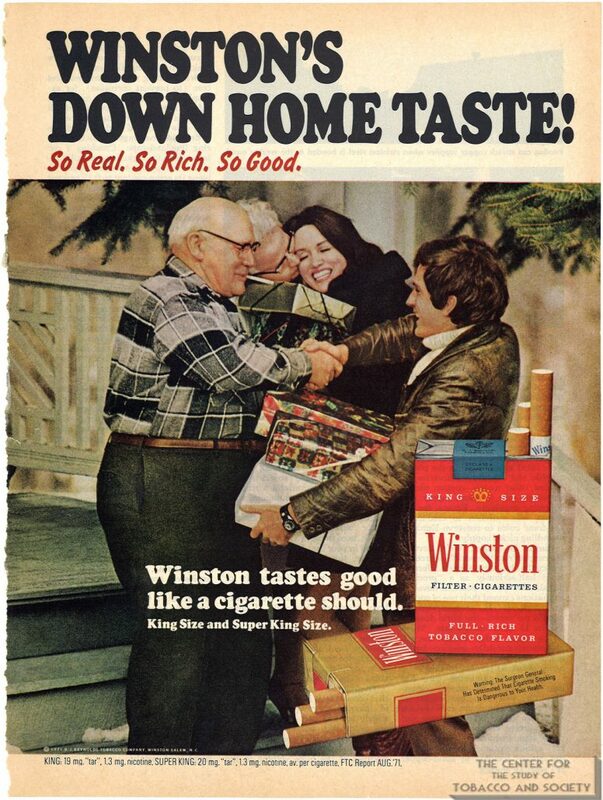 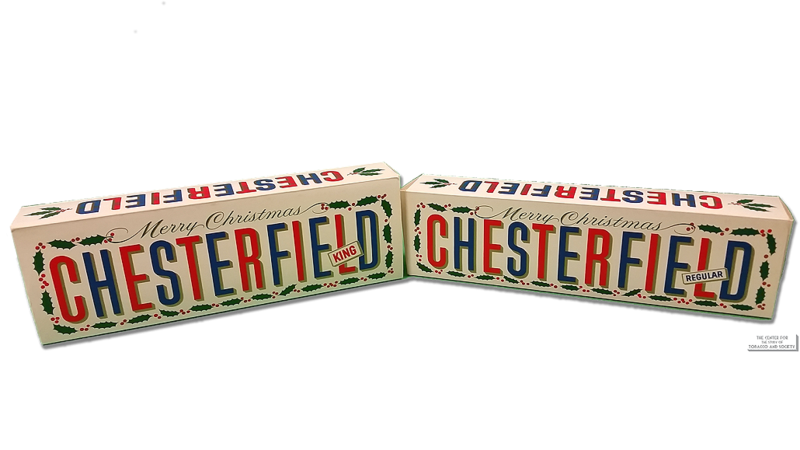 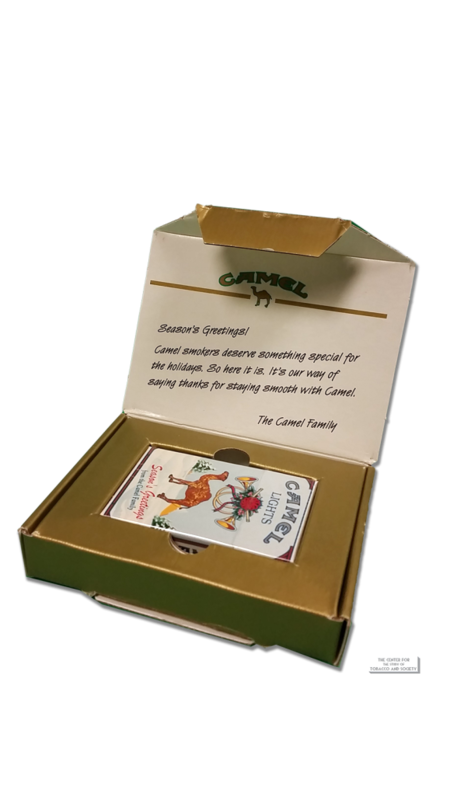 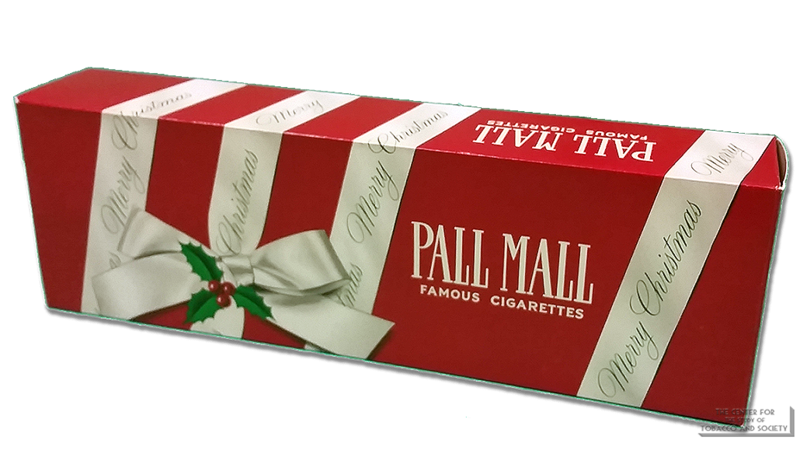 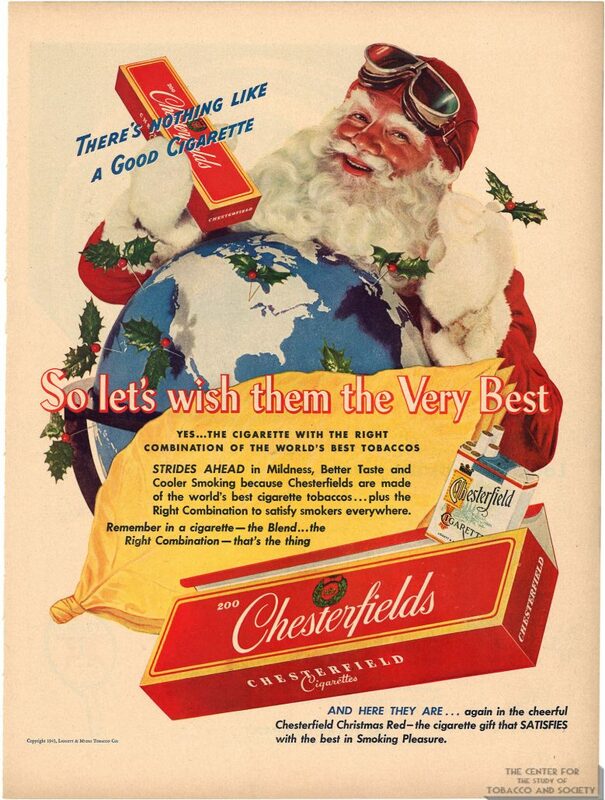 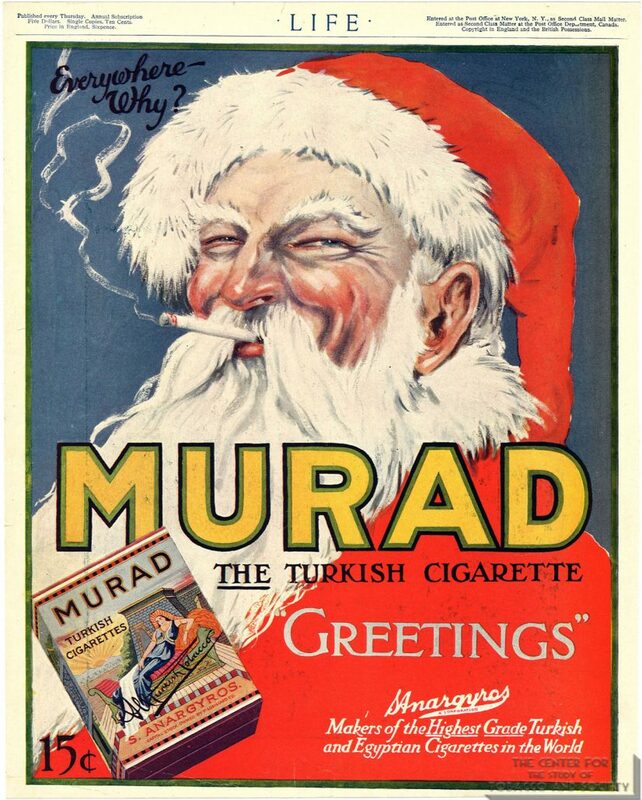 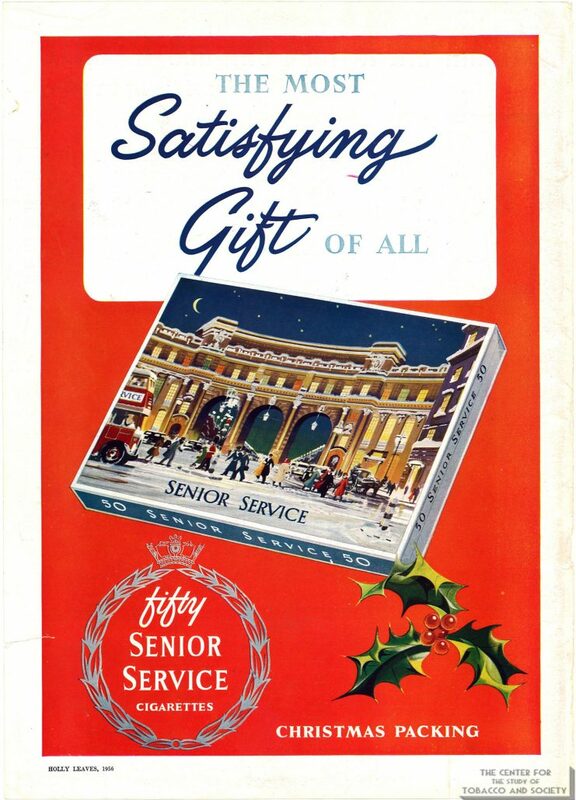 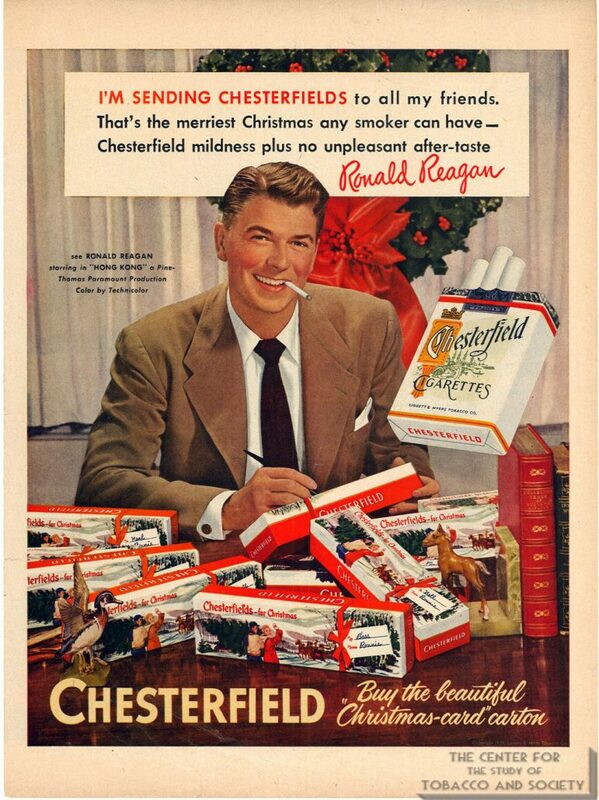 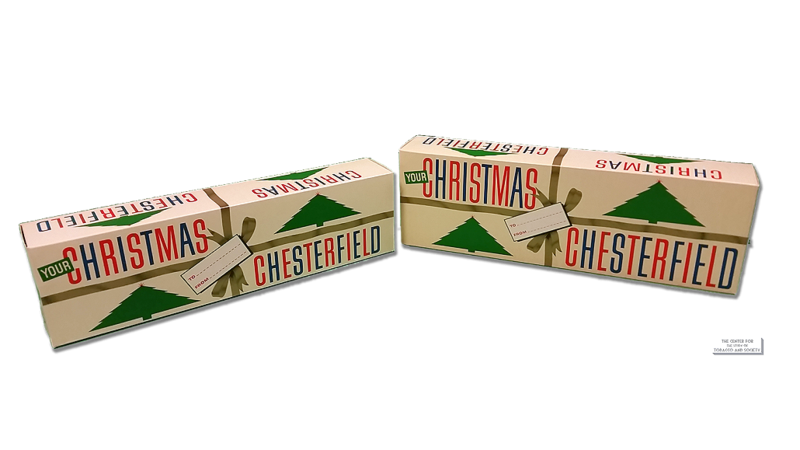 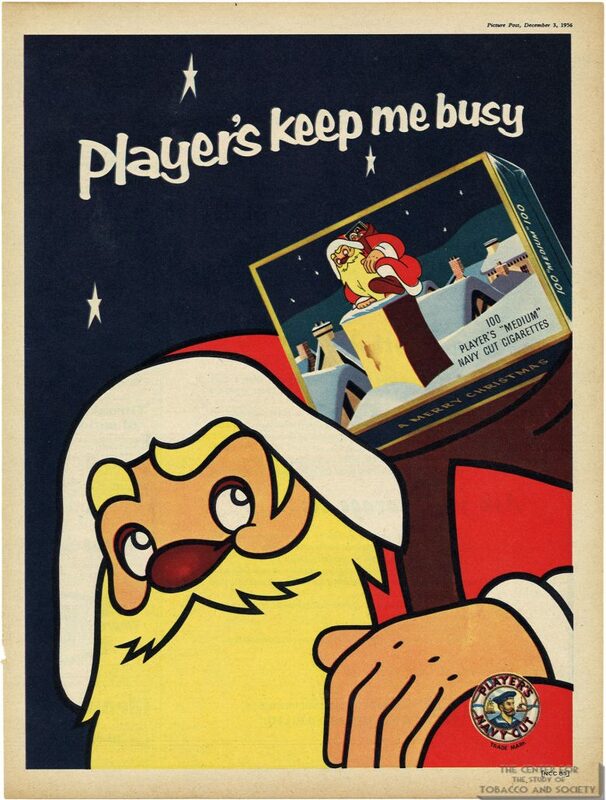 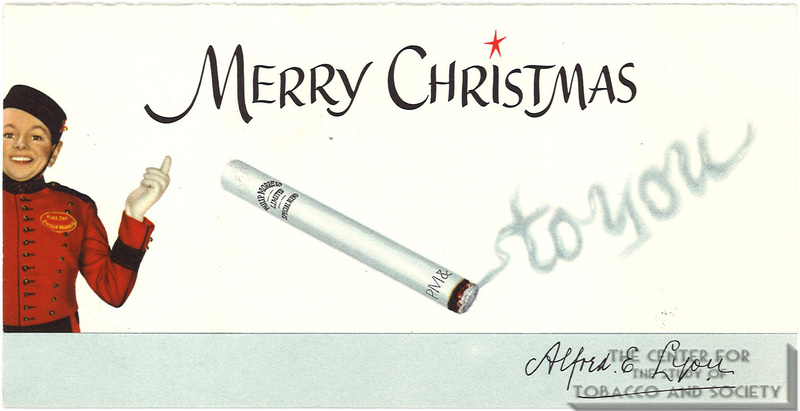 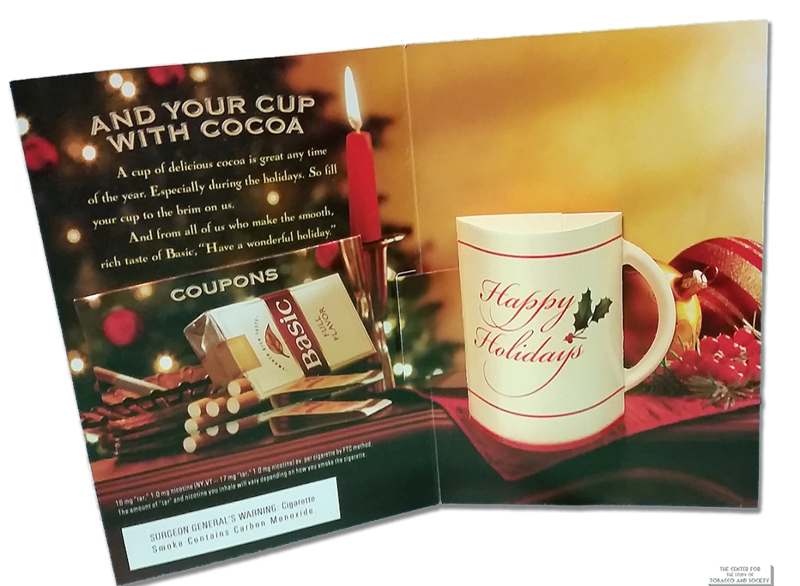 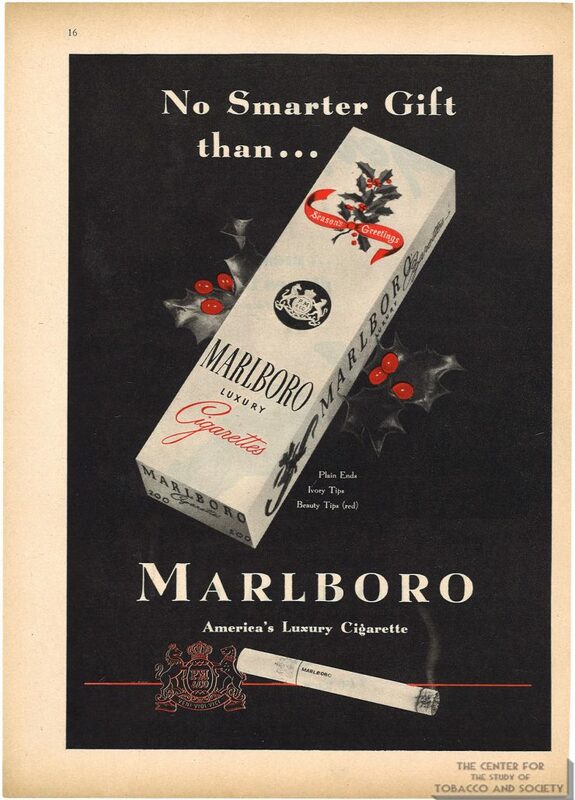 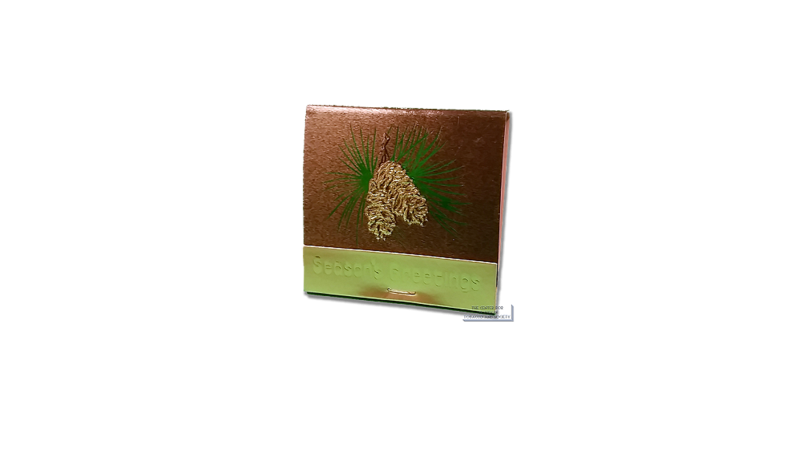 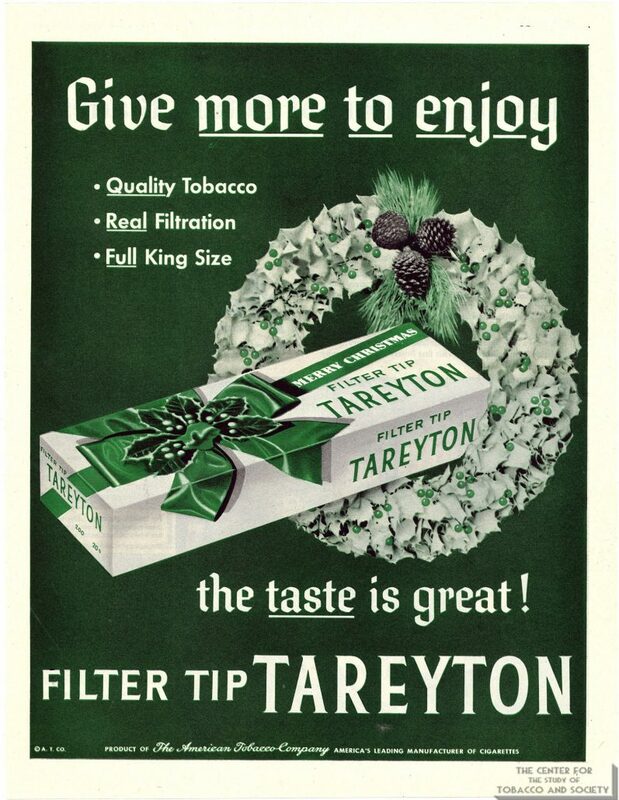 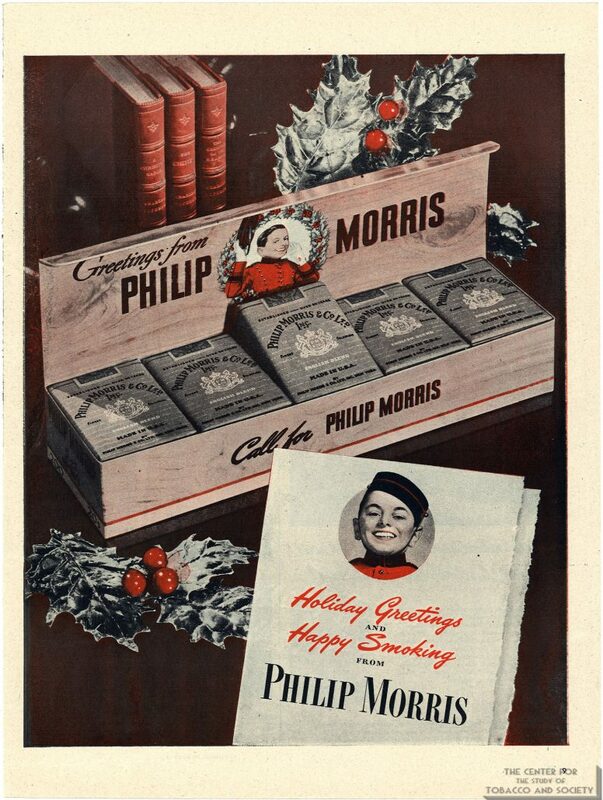 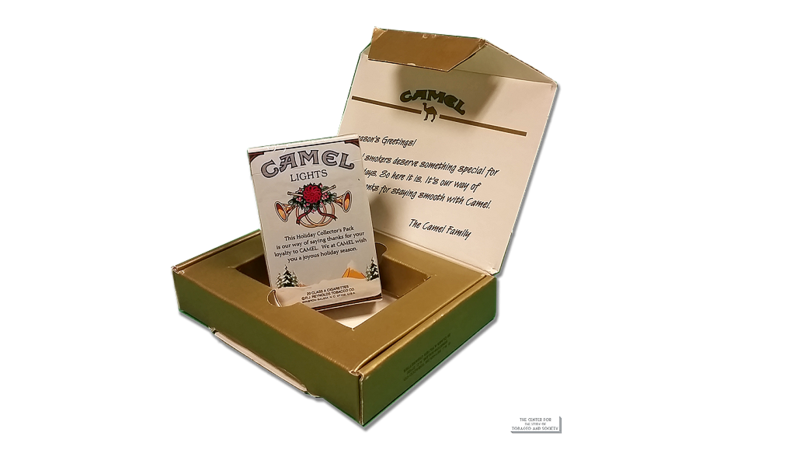 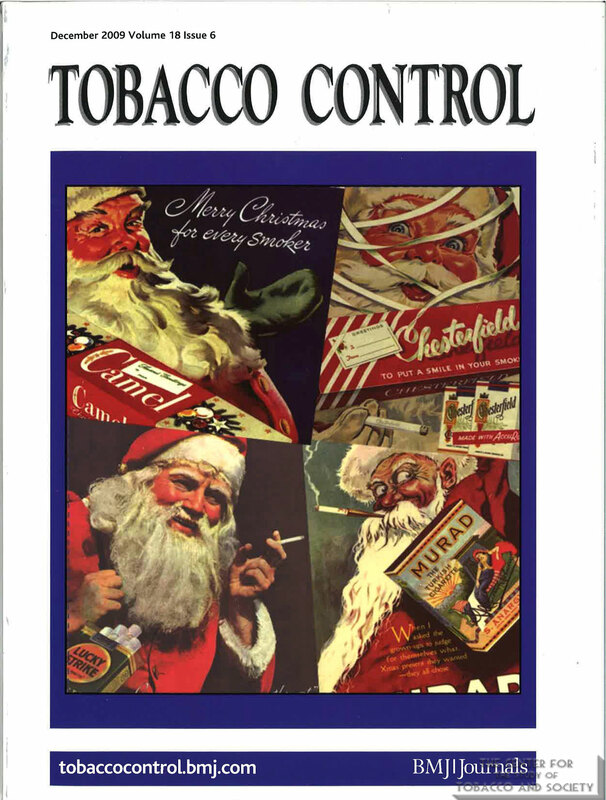 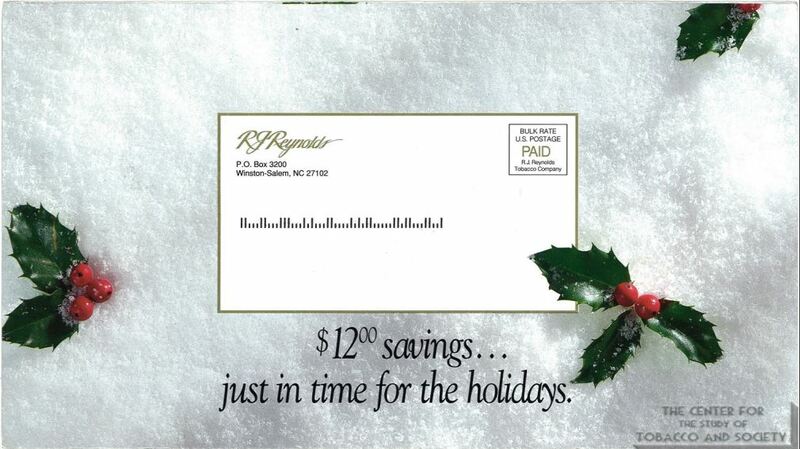 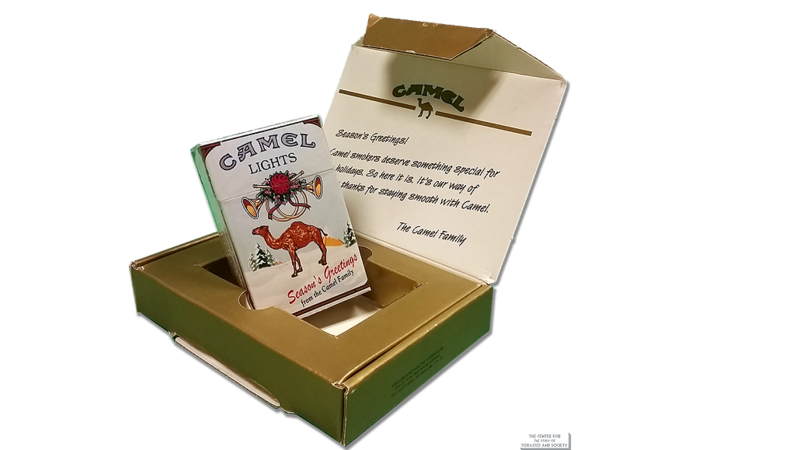 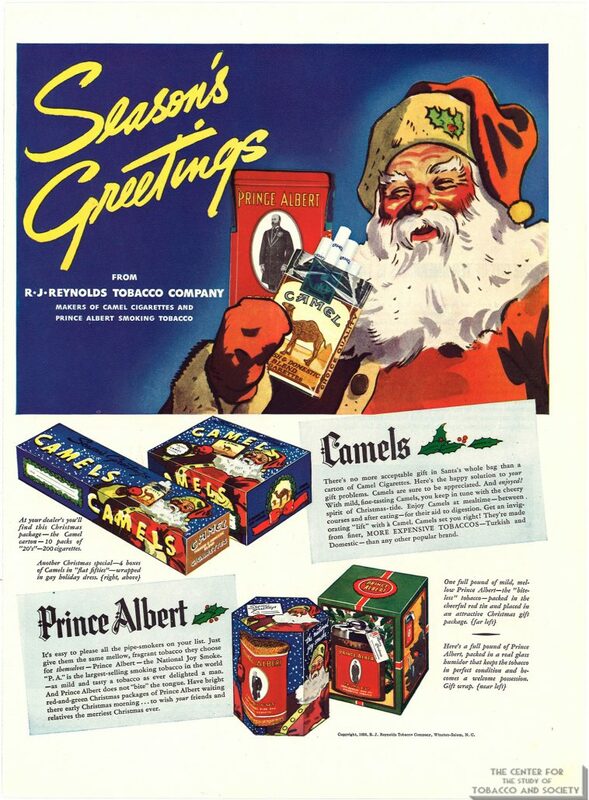 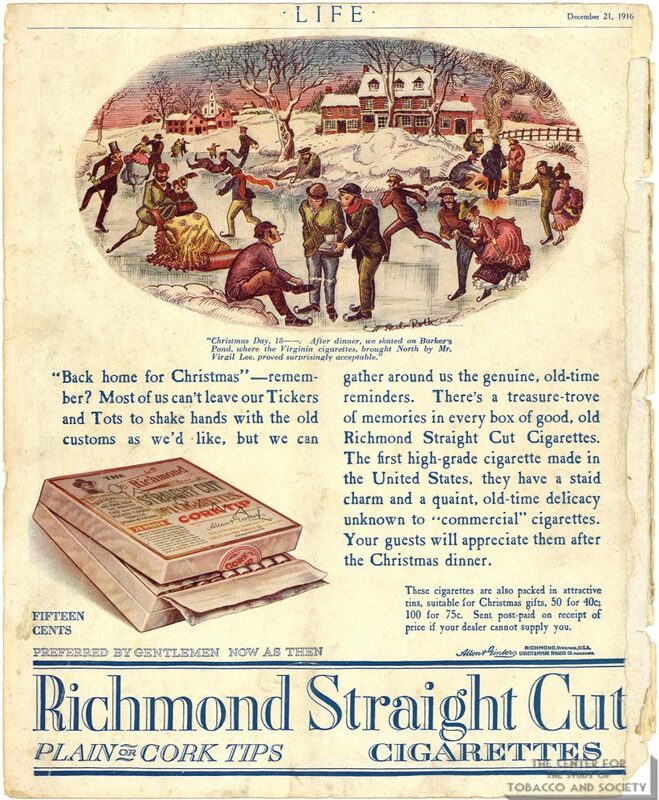 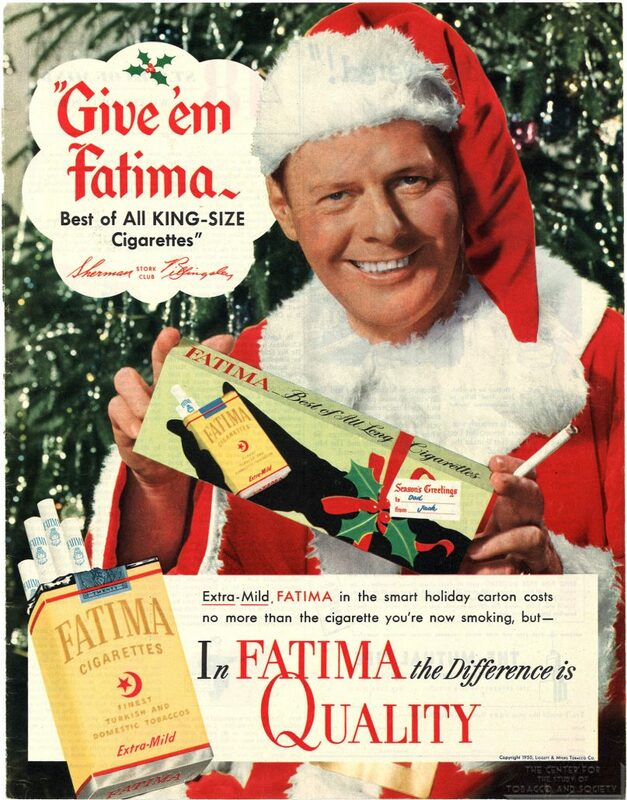 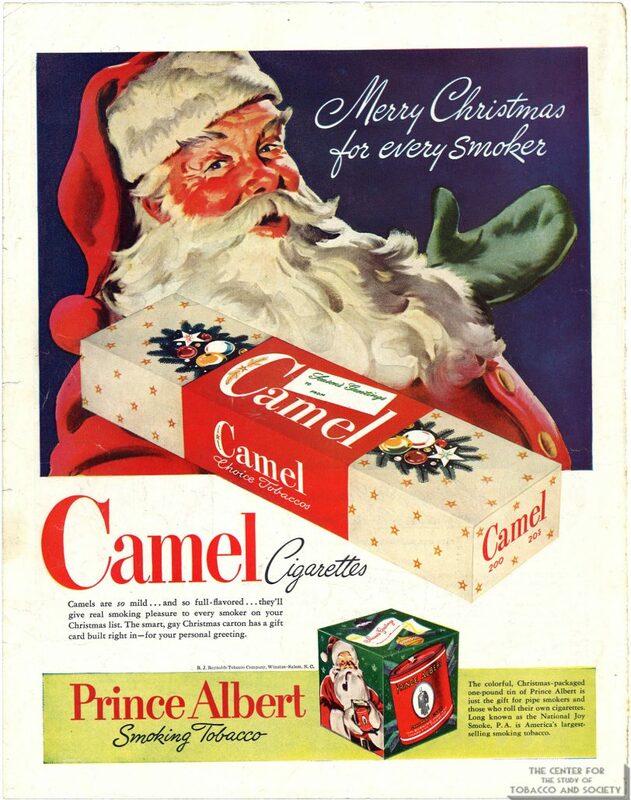 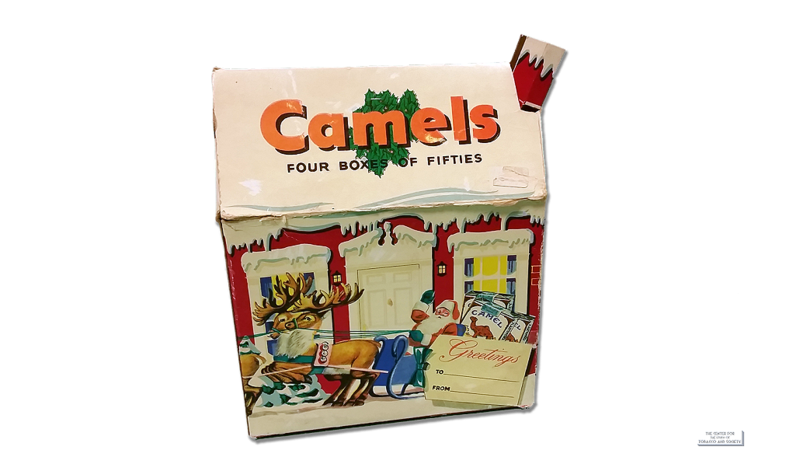 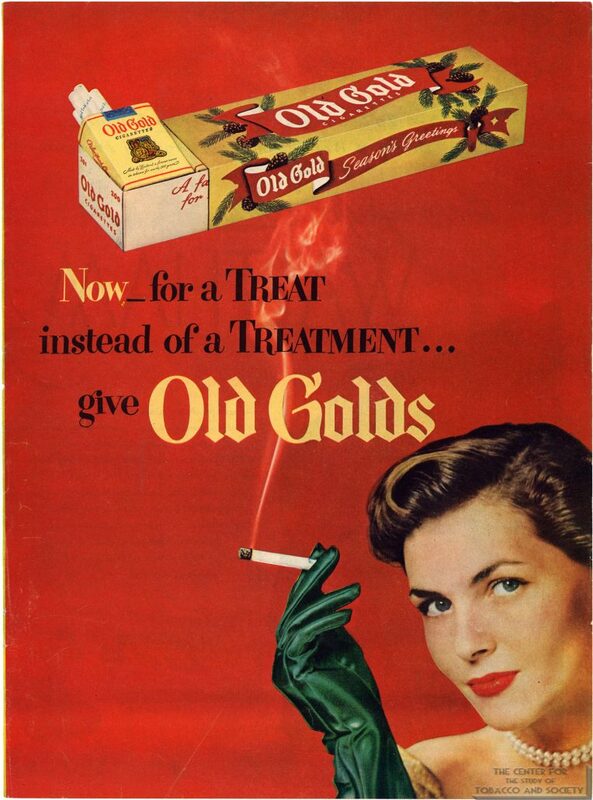 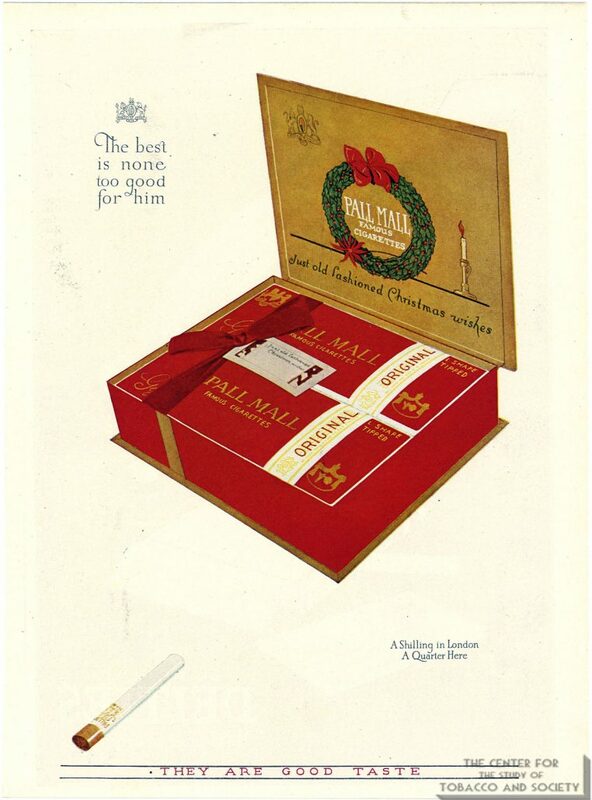 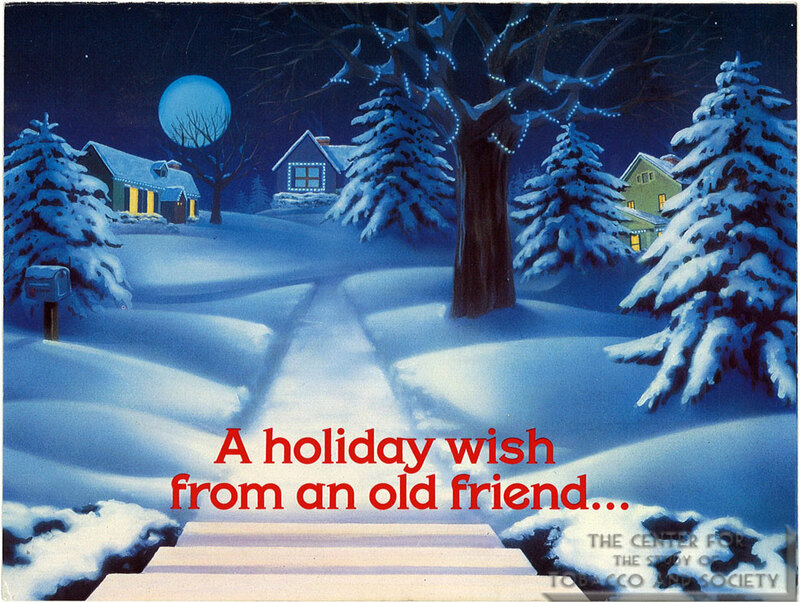 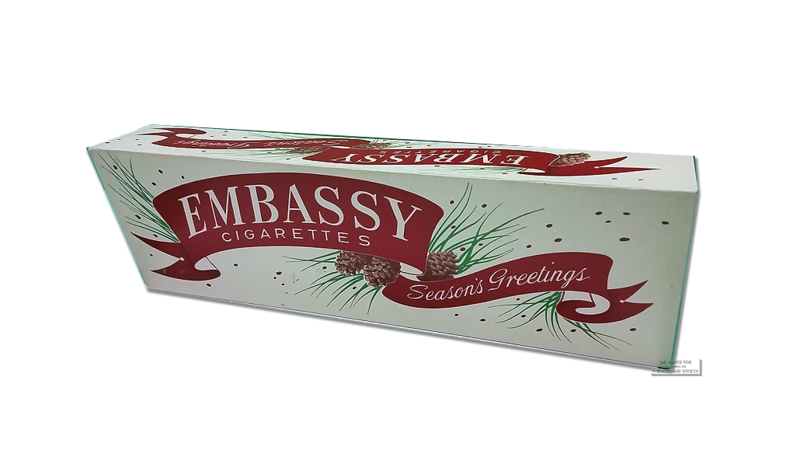 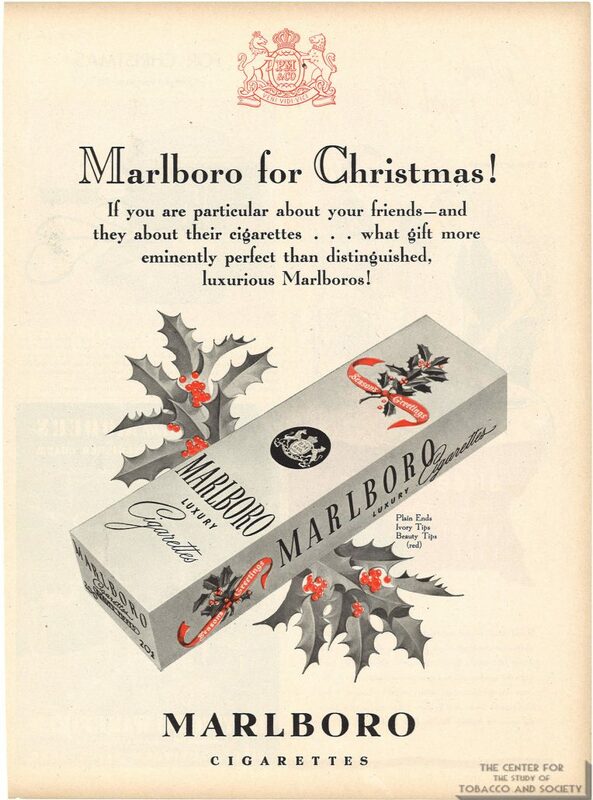 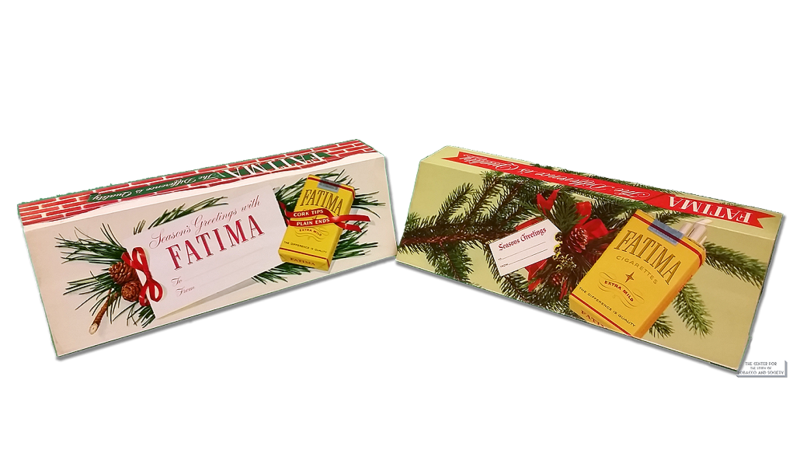 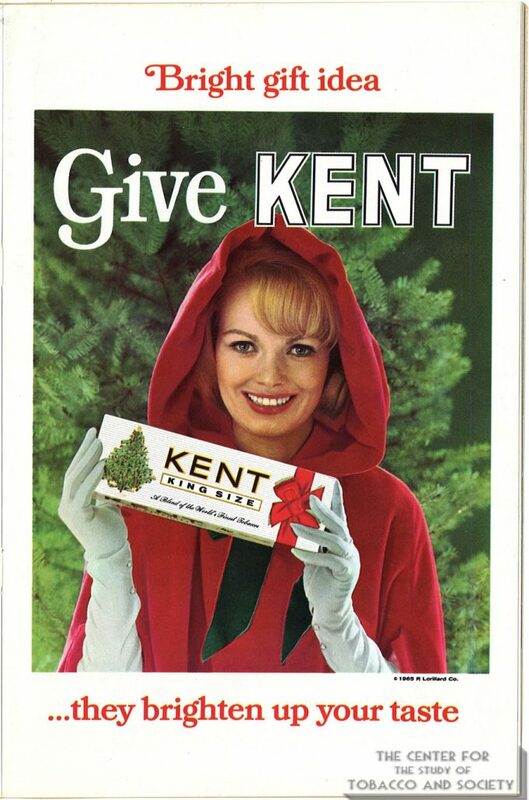 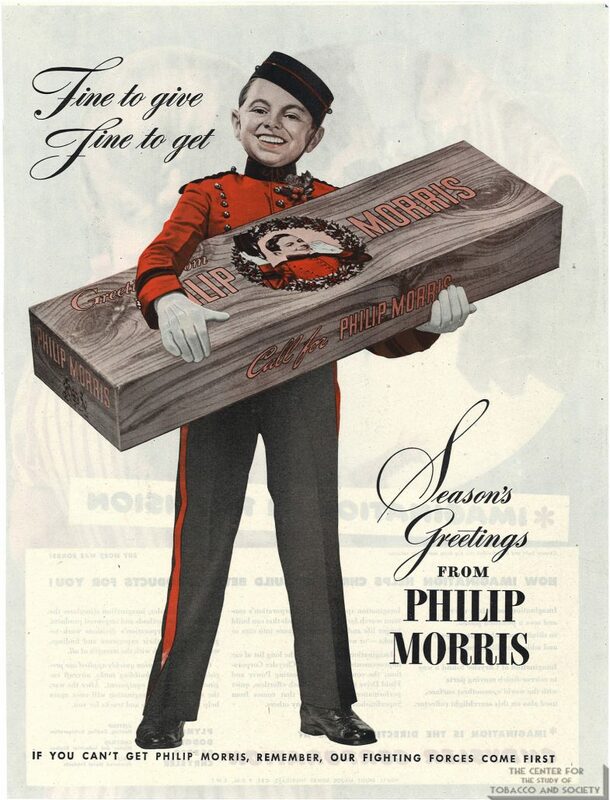 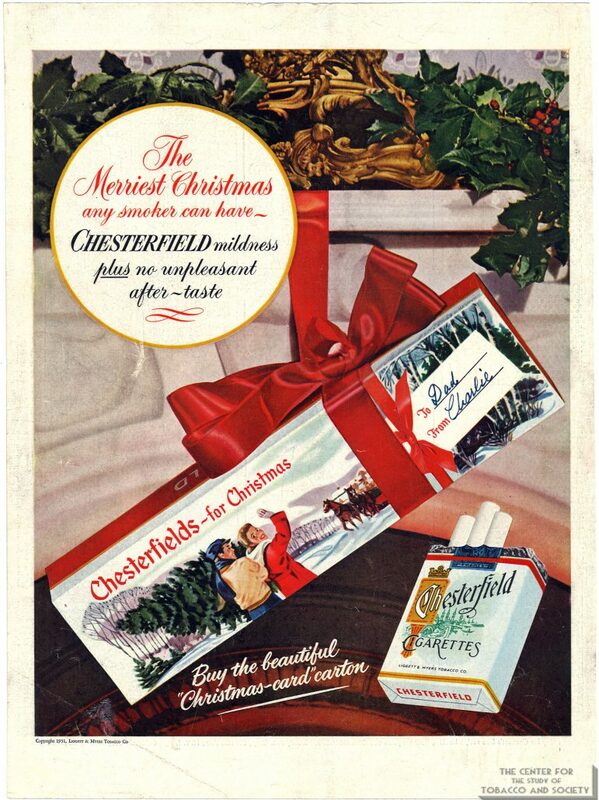 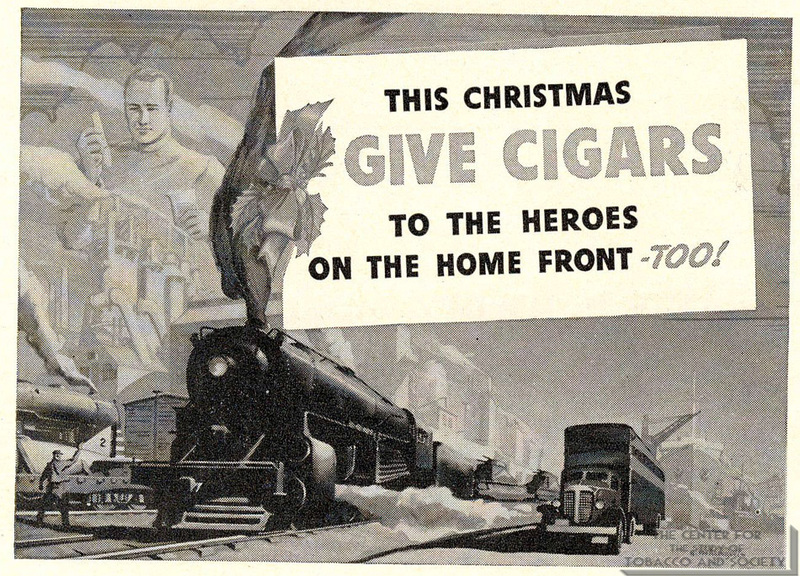 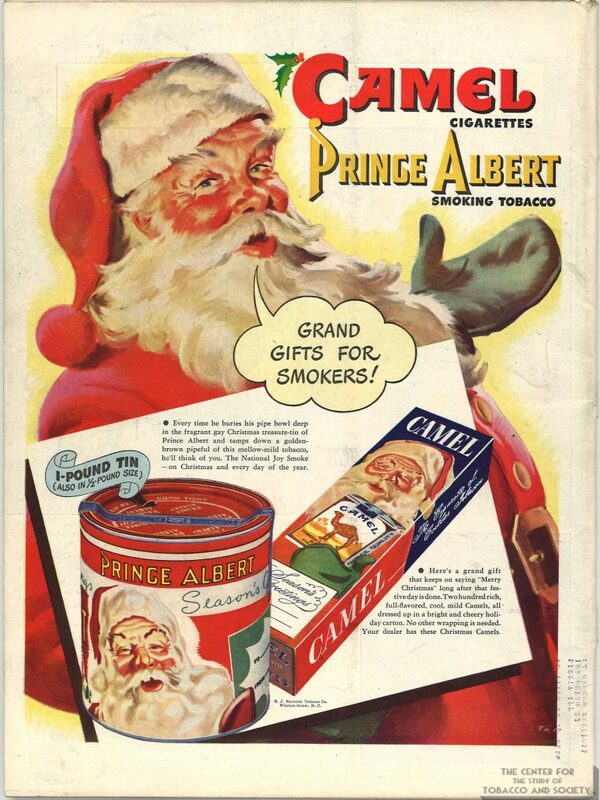 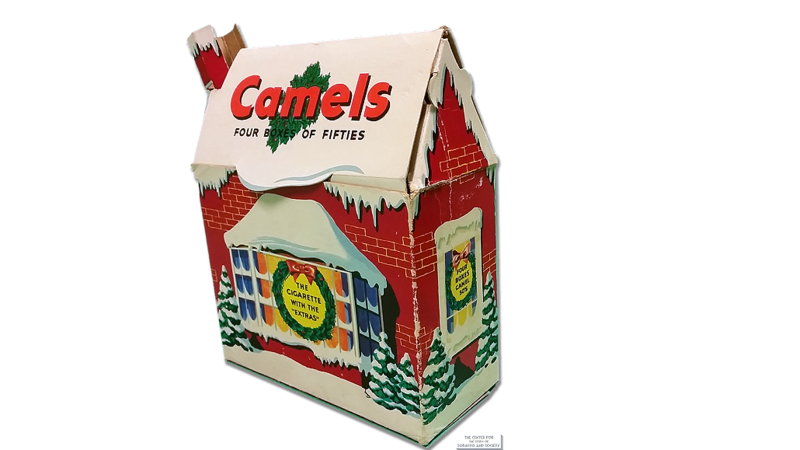 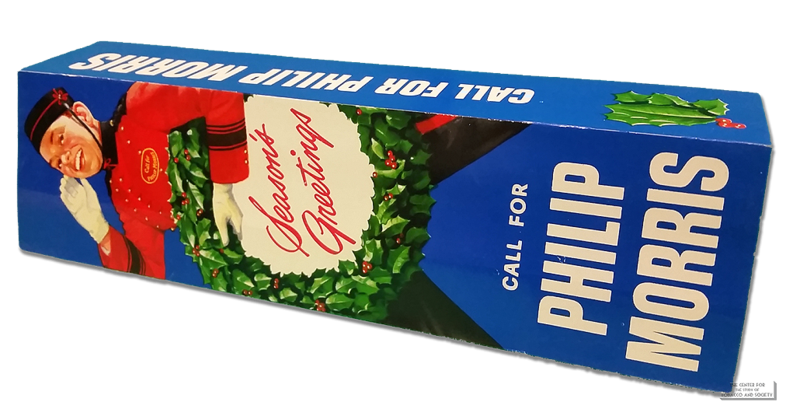 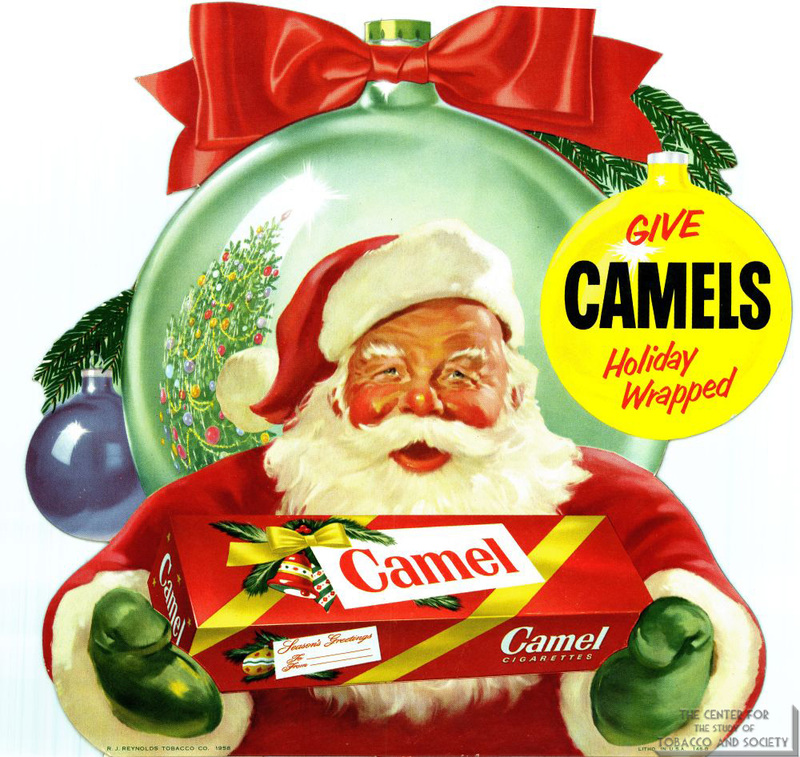 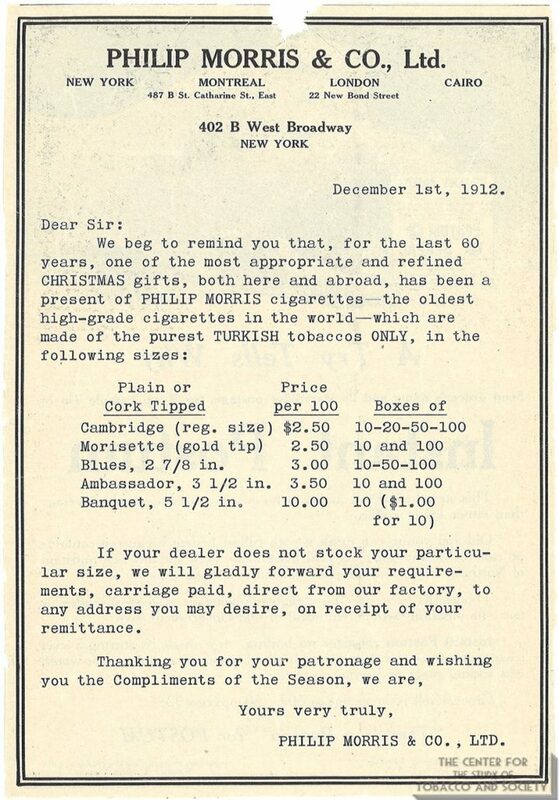 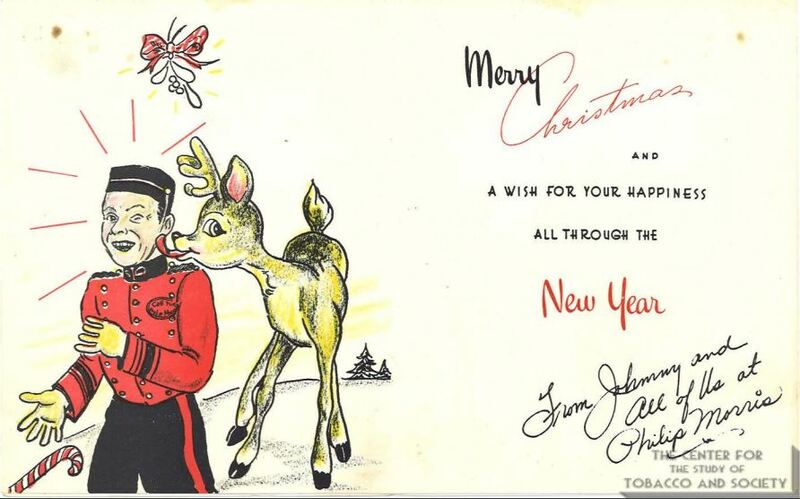 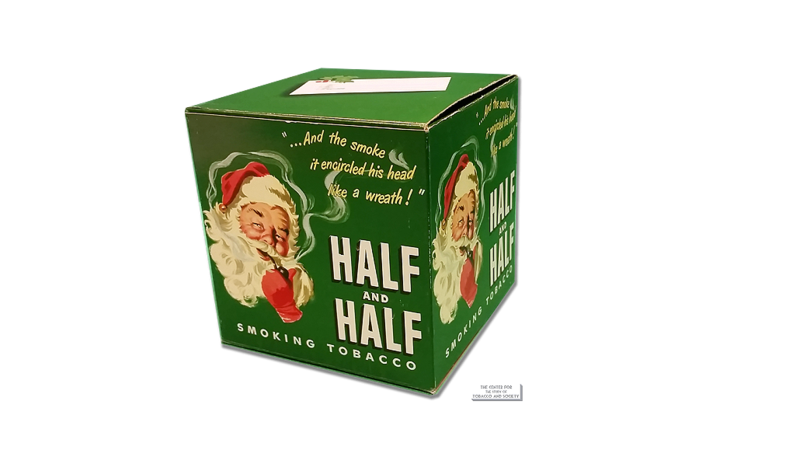 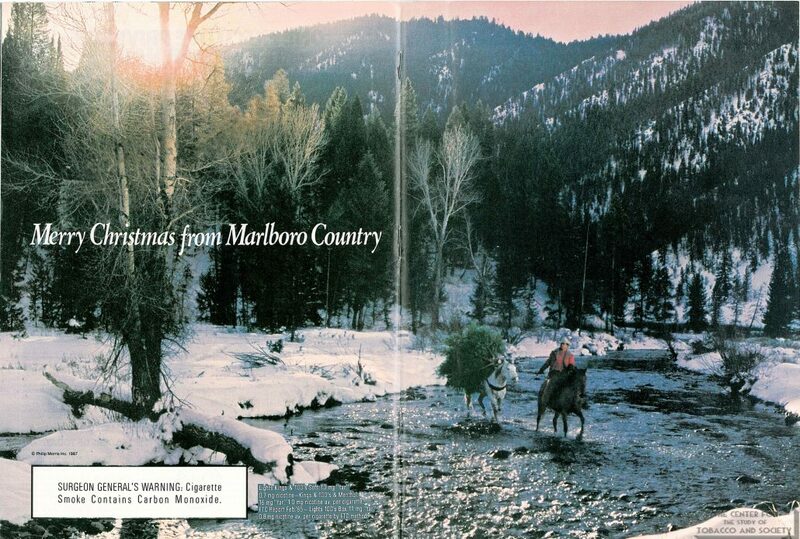 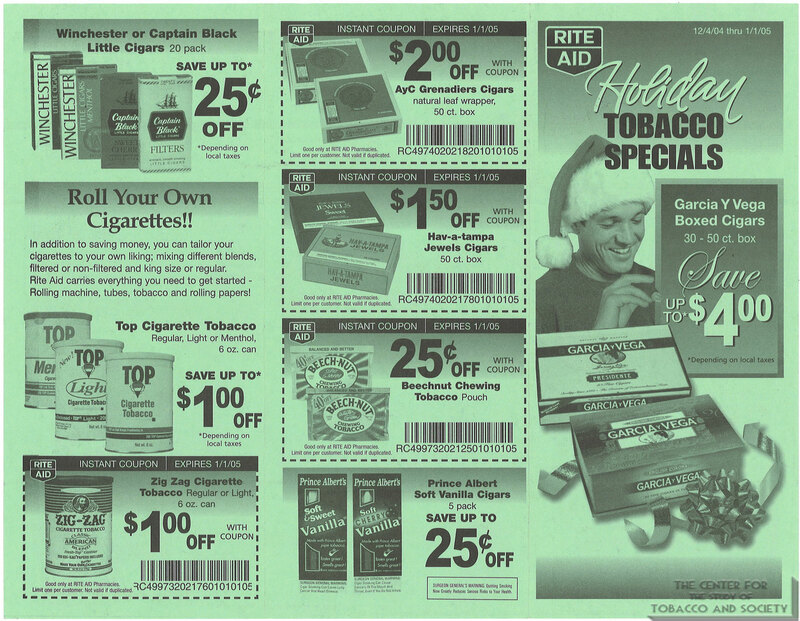 Throughout the 20th century, the season of giving was not immune to the pervasive reach of tobacco companies. 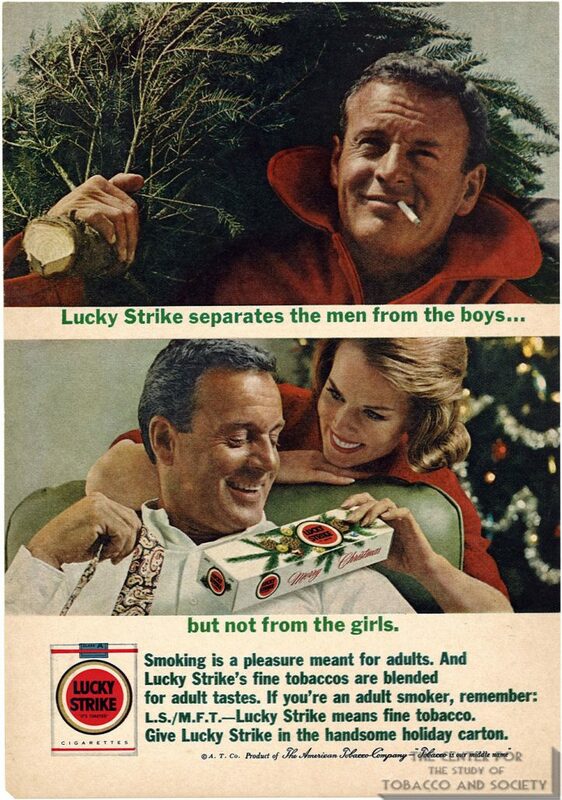 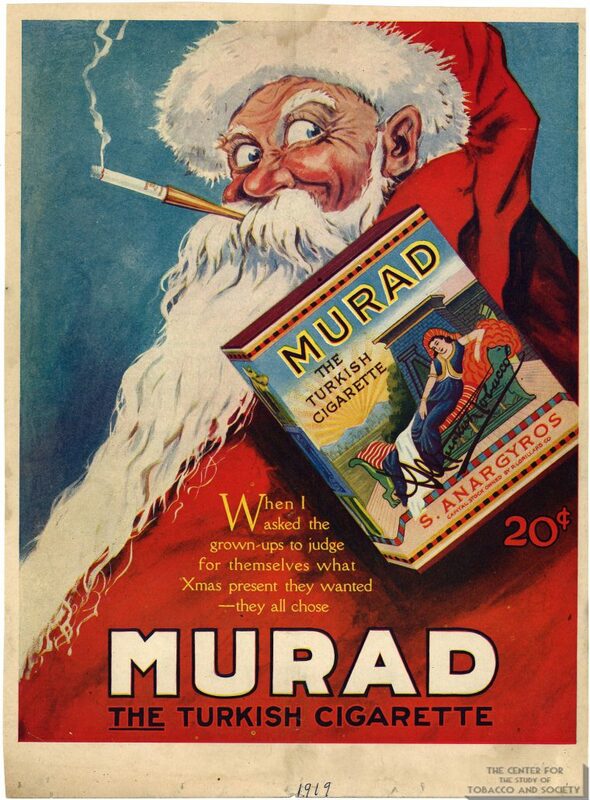 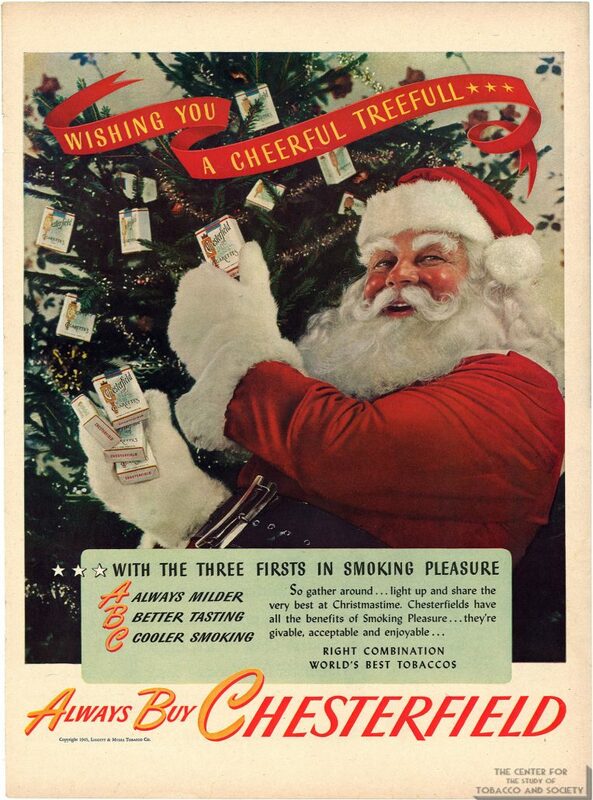 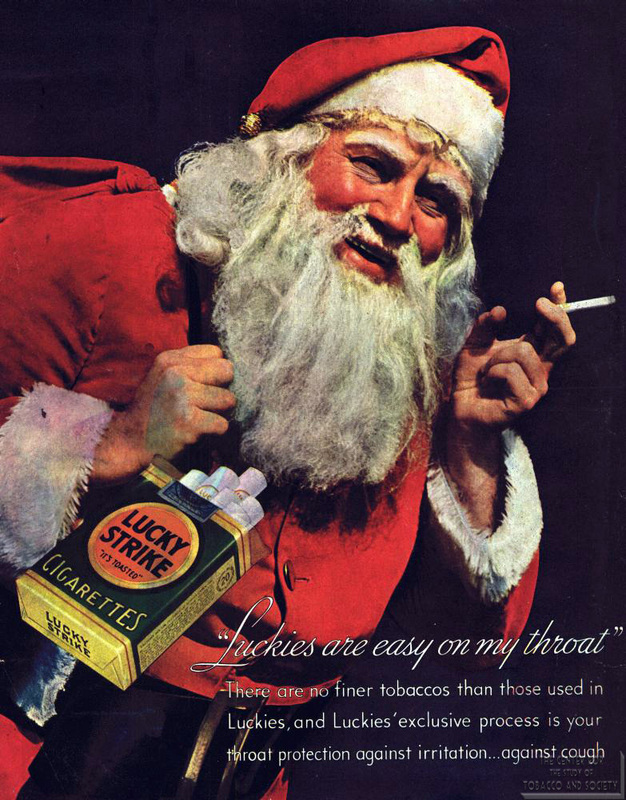 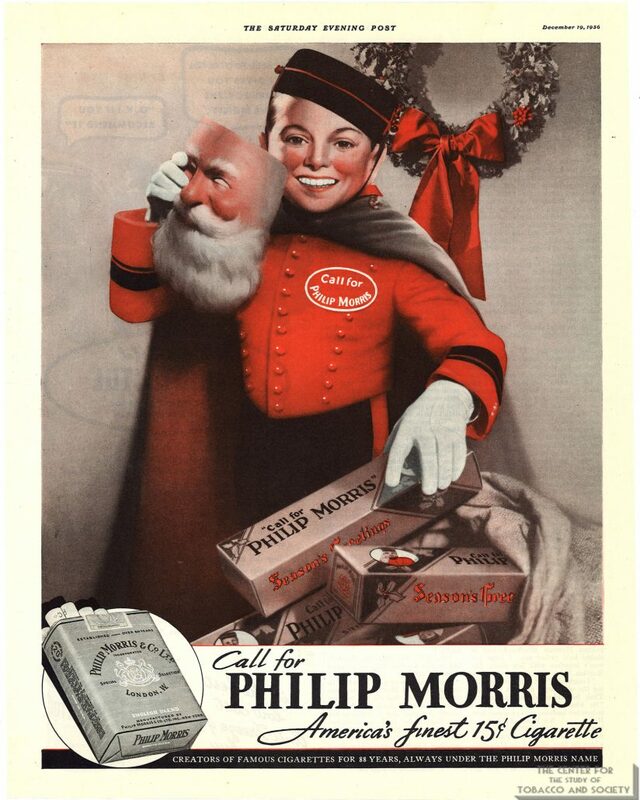 Even Santa Claus was recruited as a cigarette salesman. 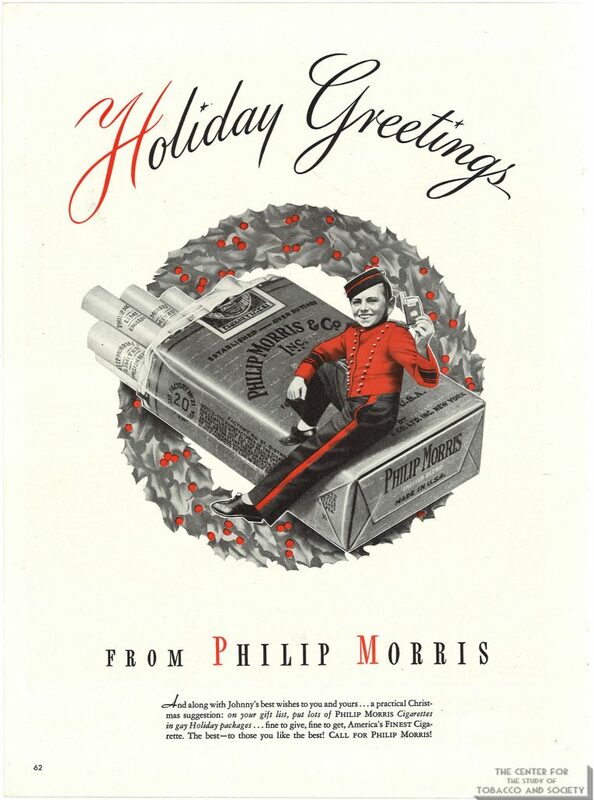 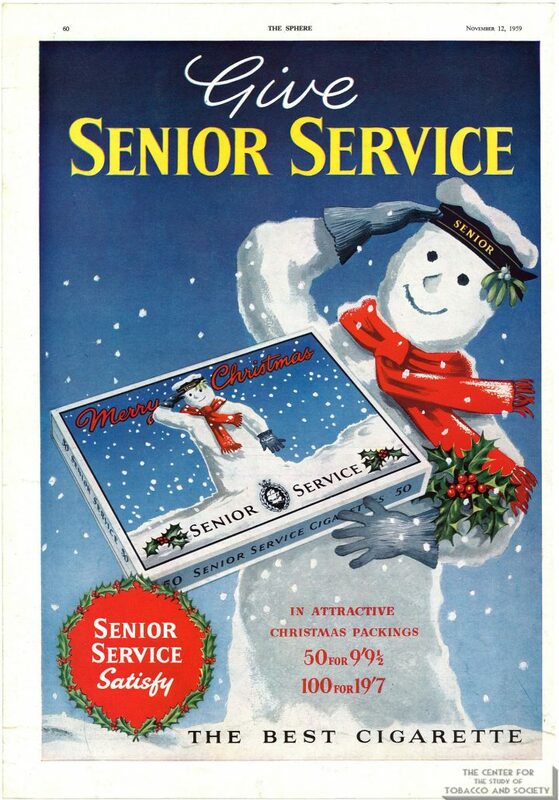 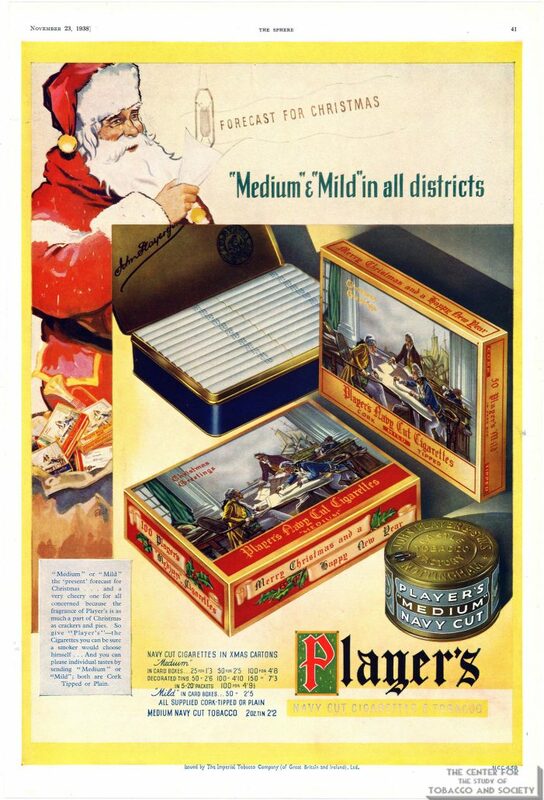 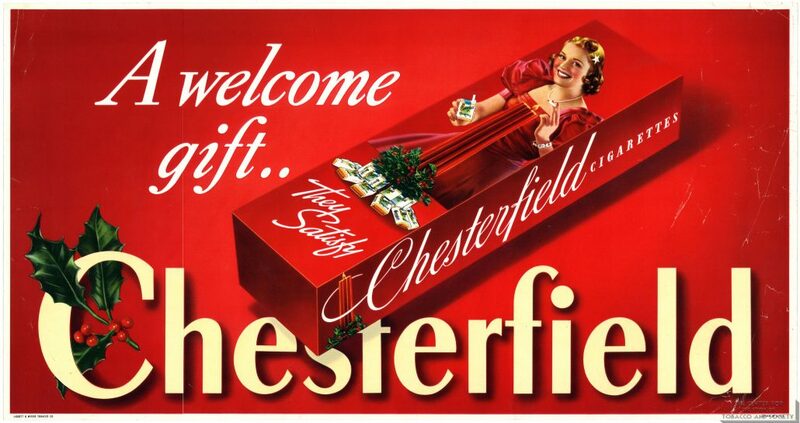 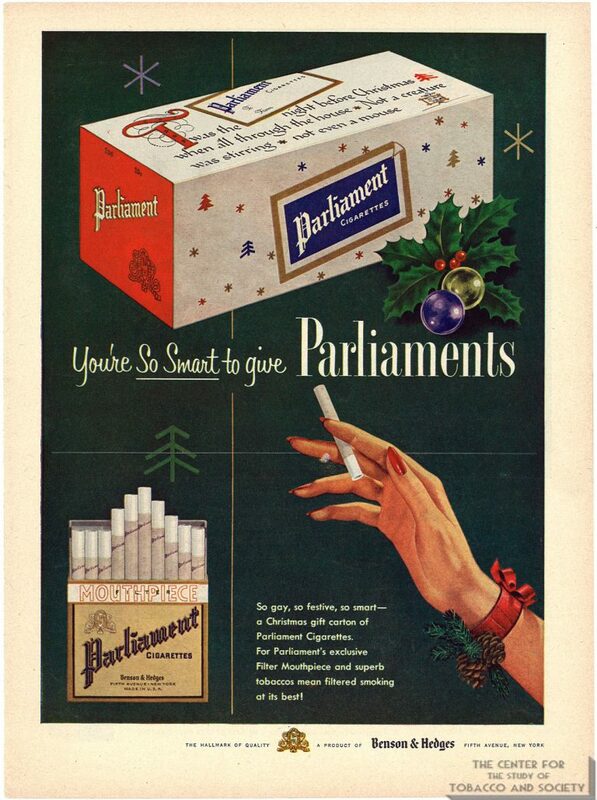 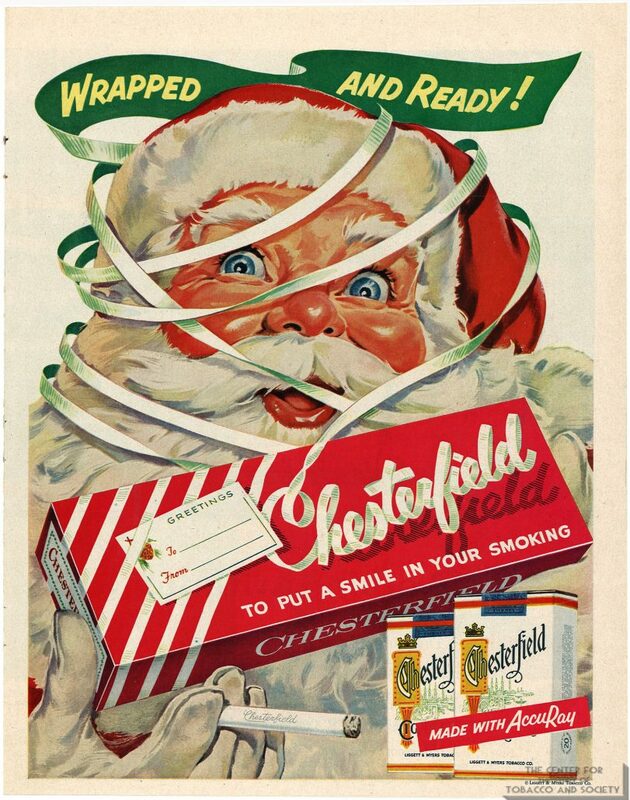 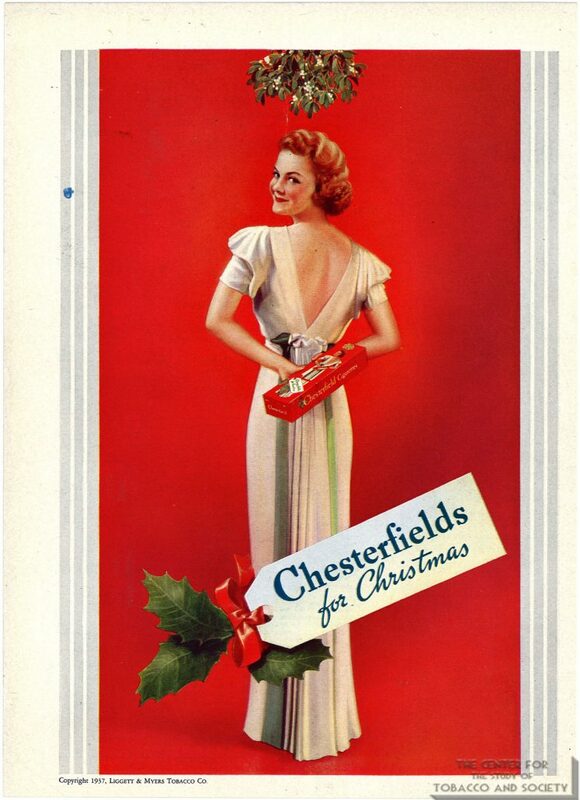 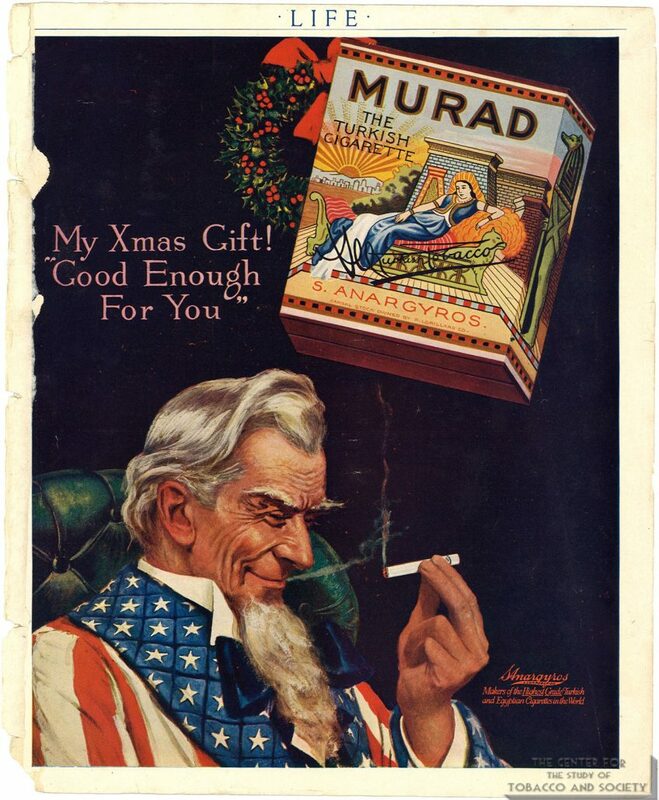 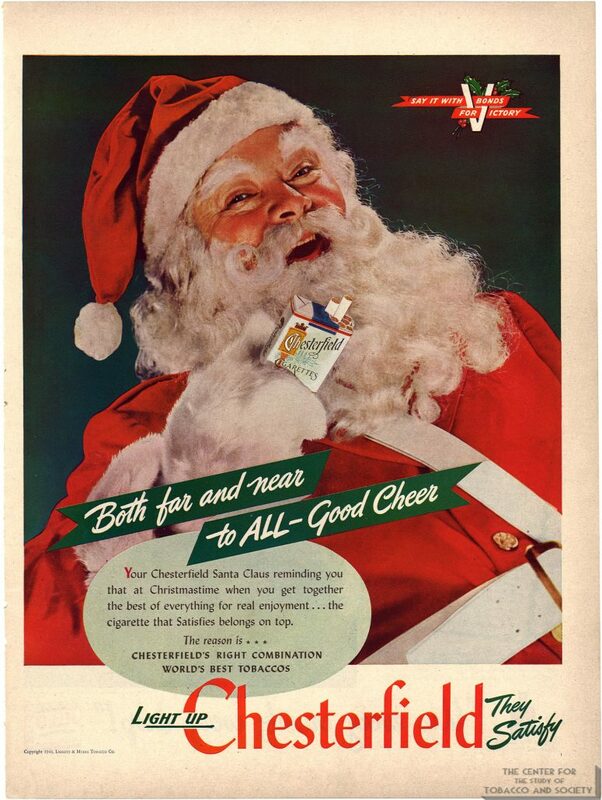 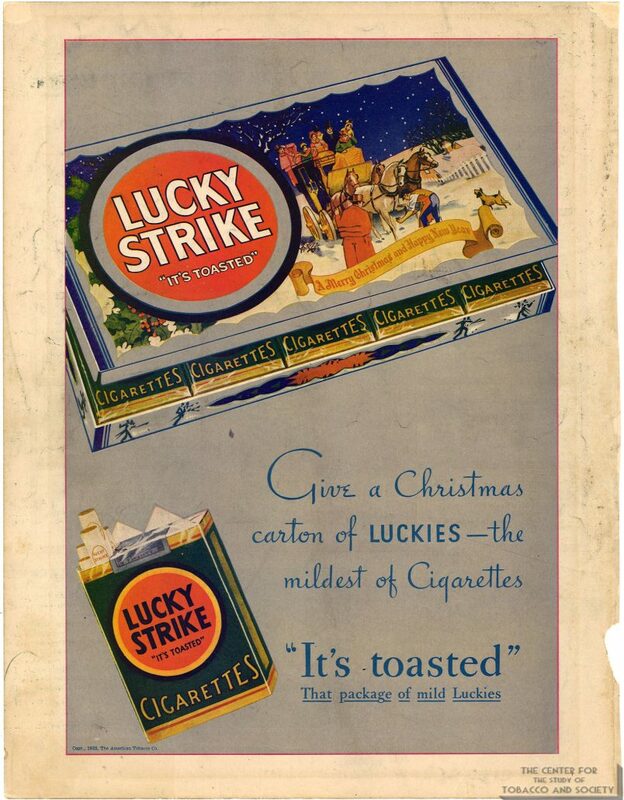 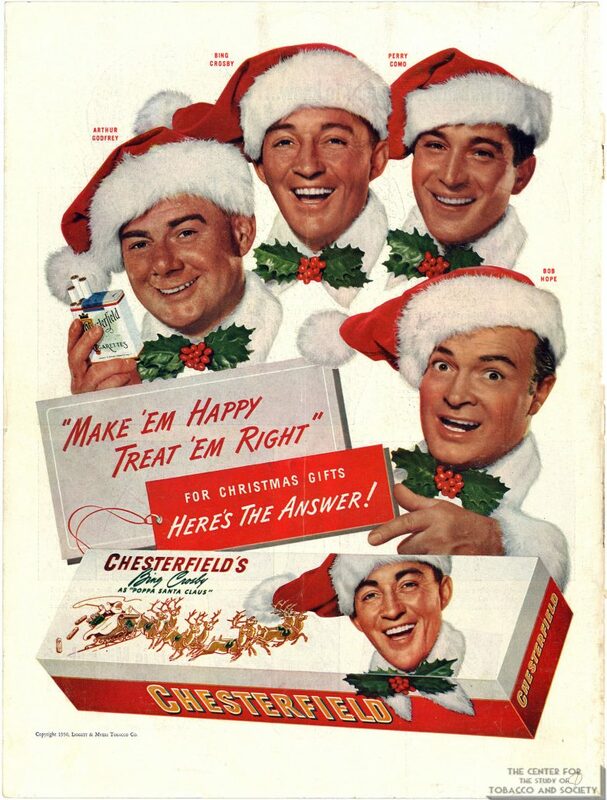 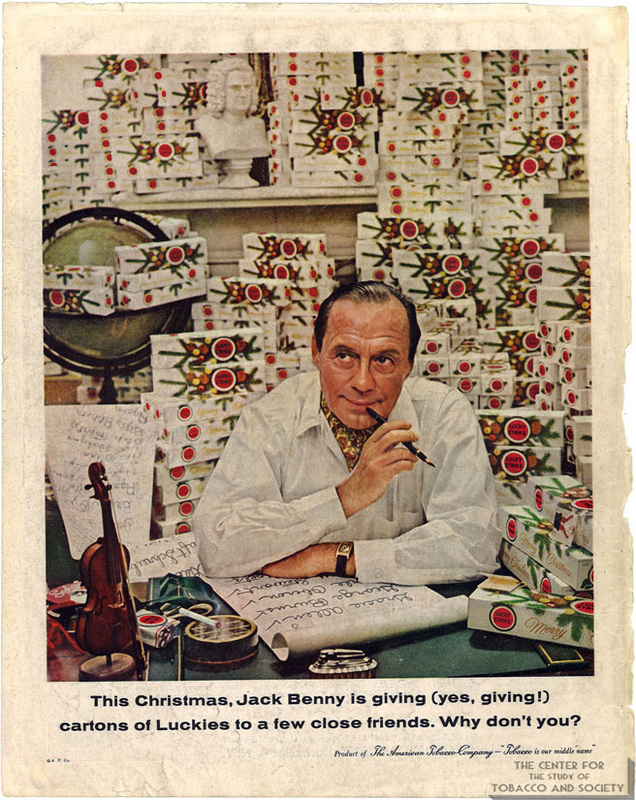 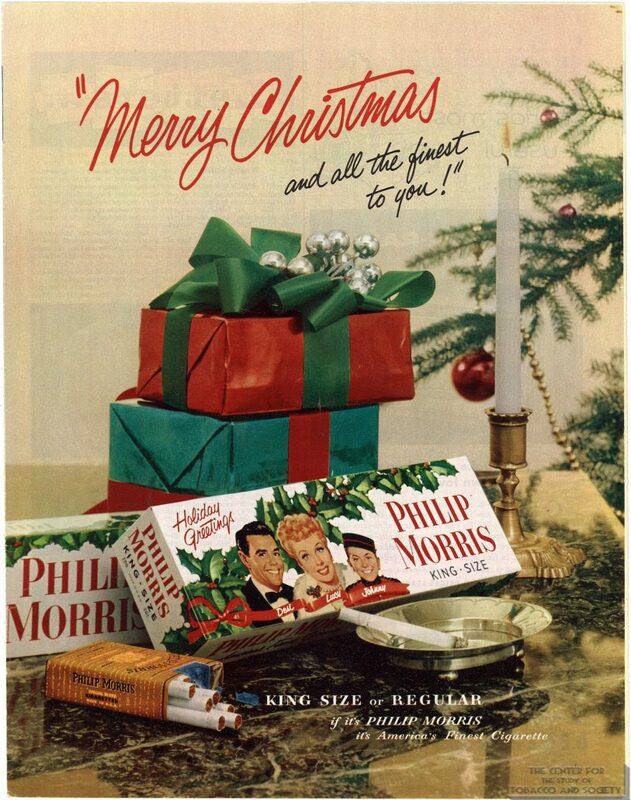 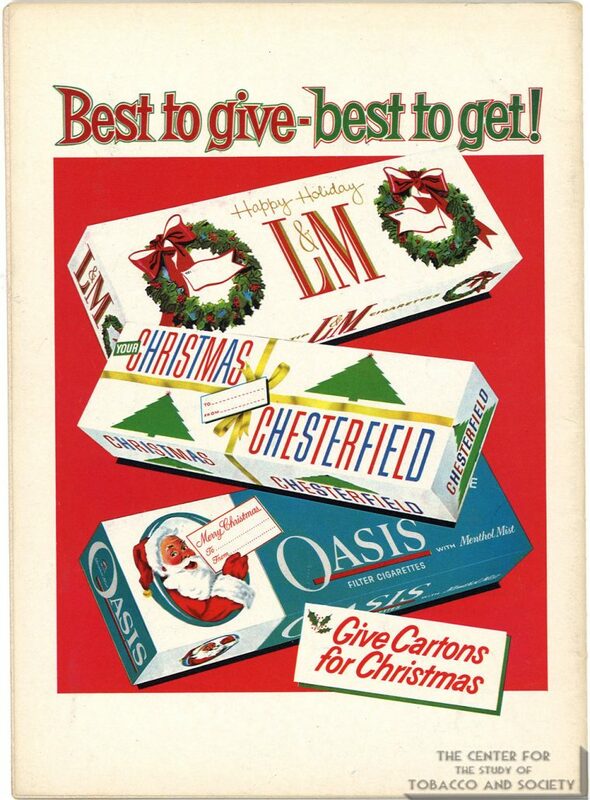 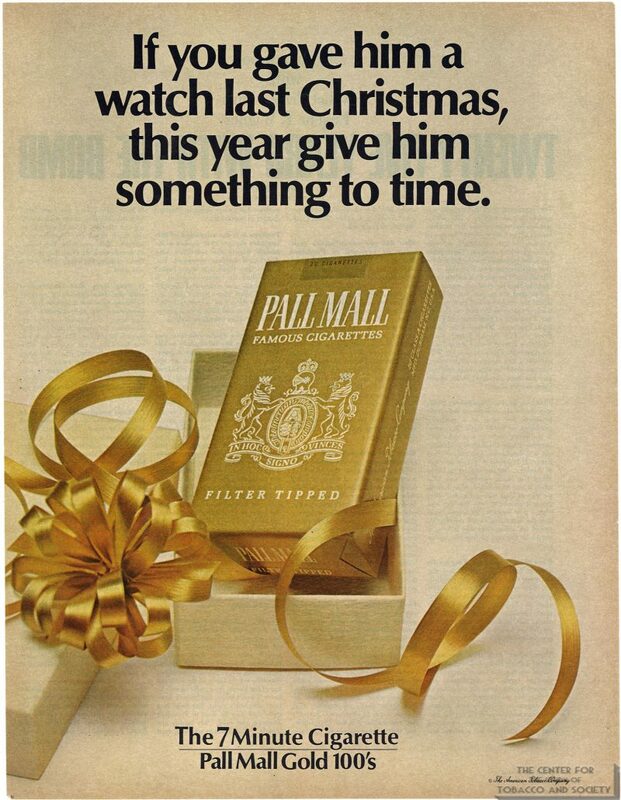 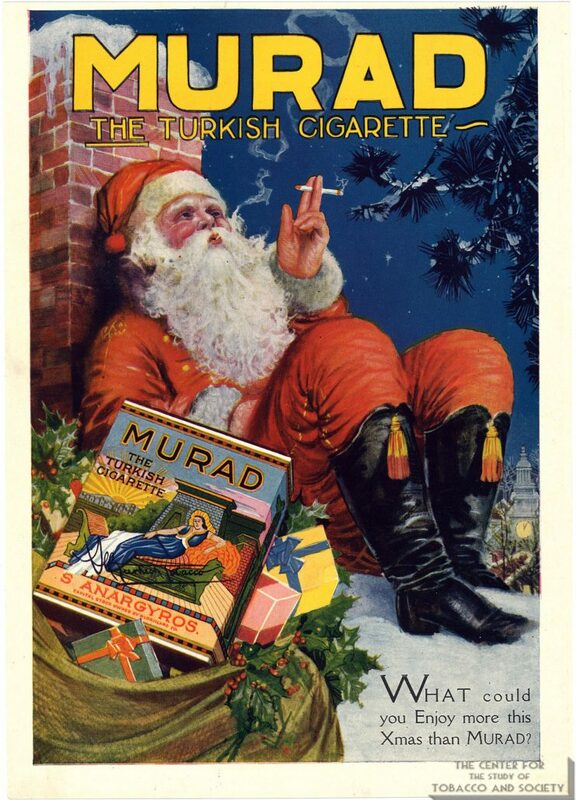 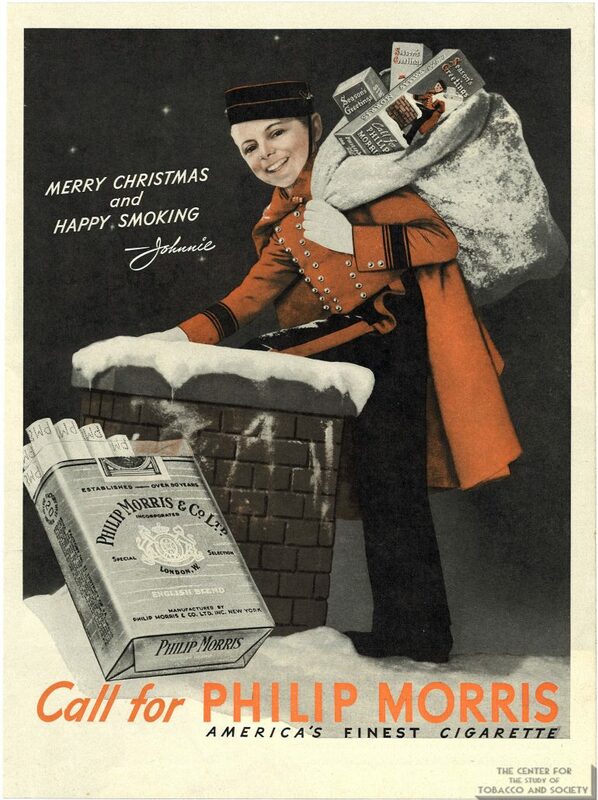 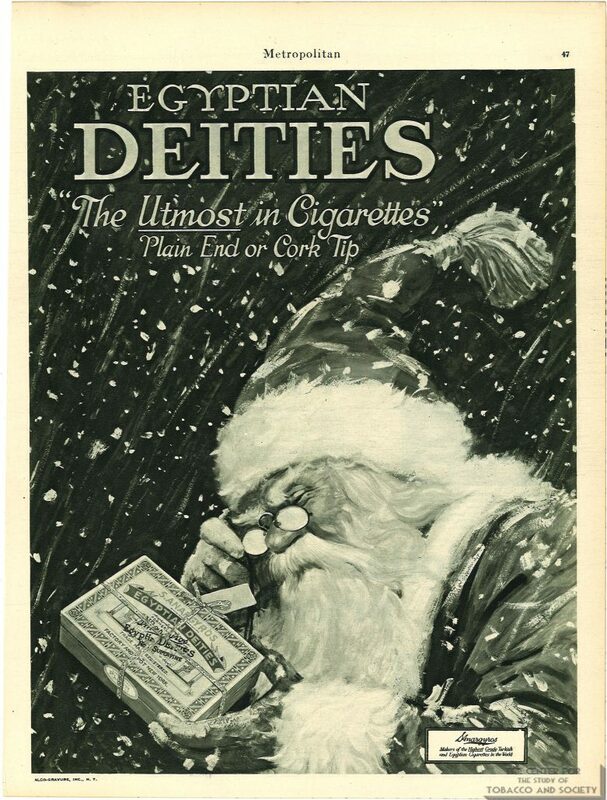 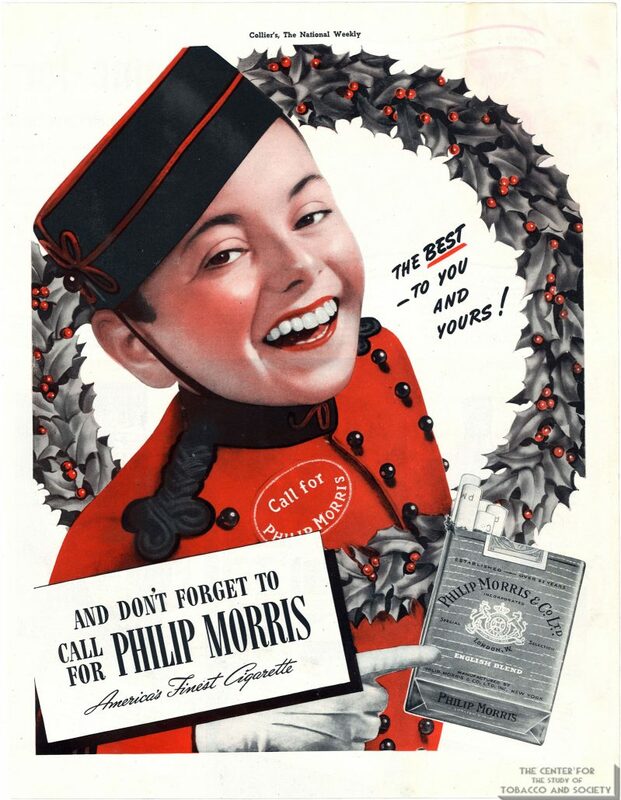 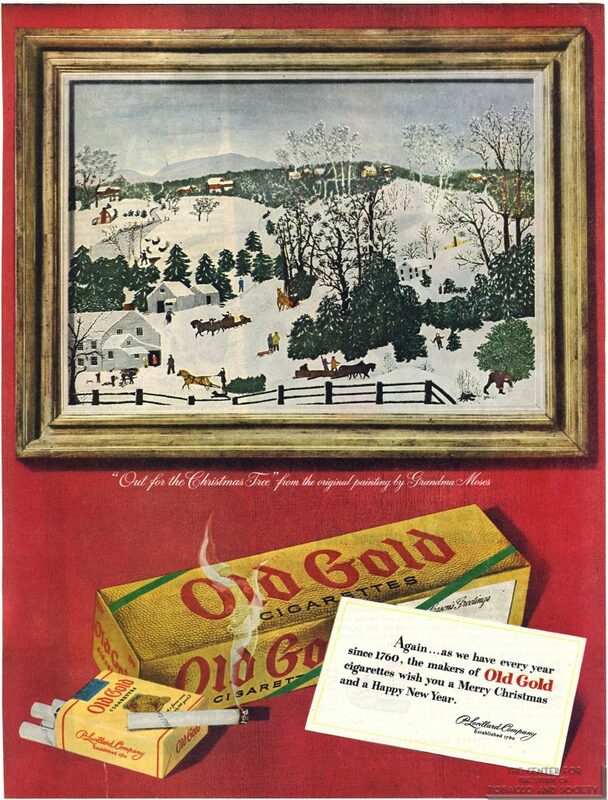 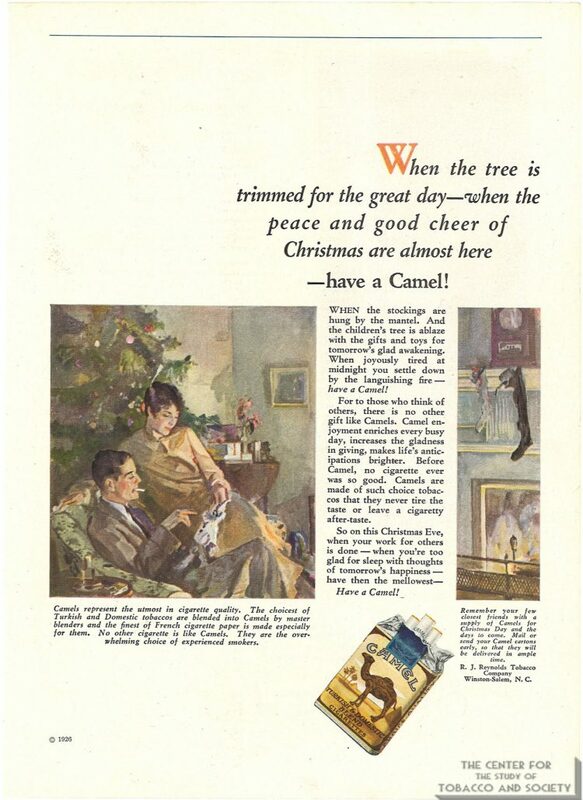 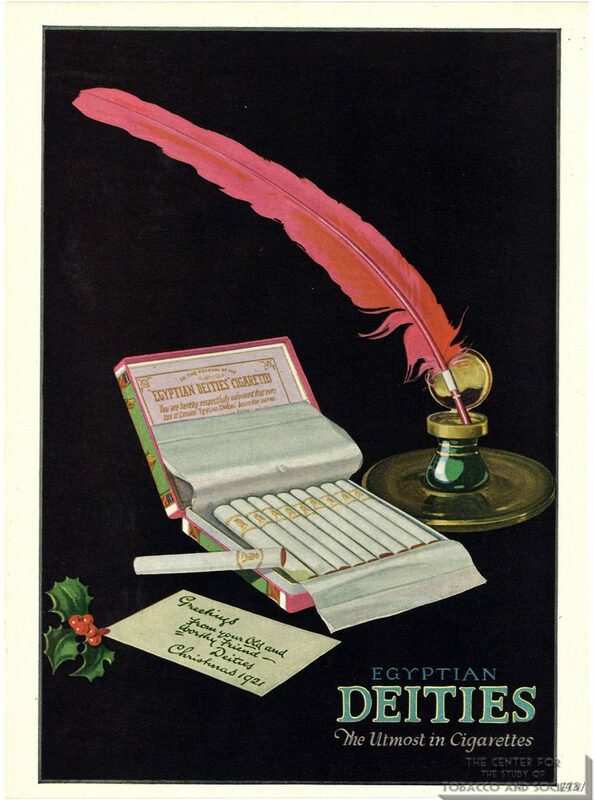 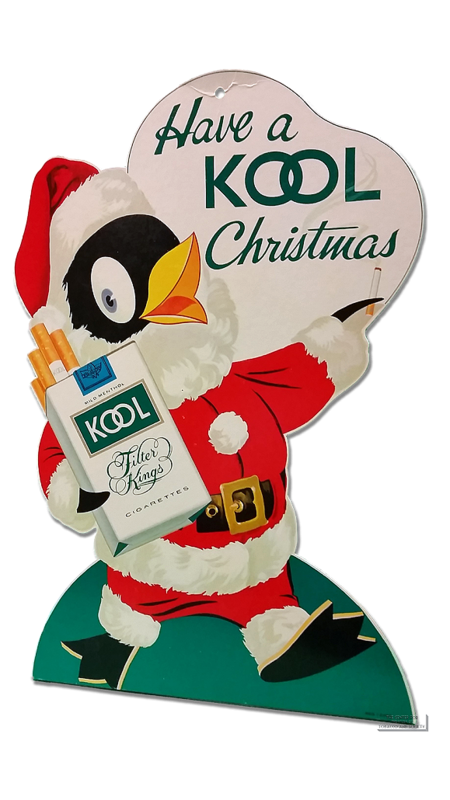 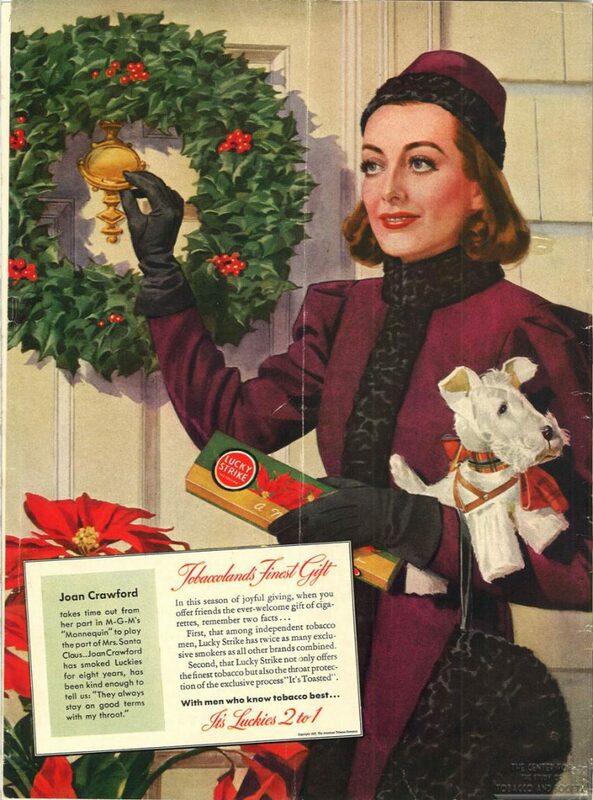 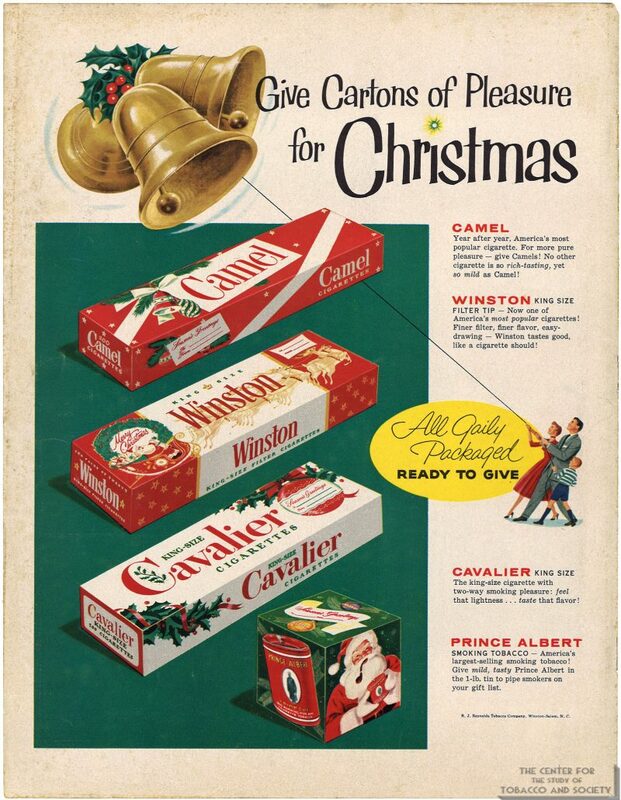 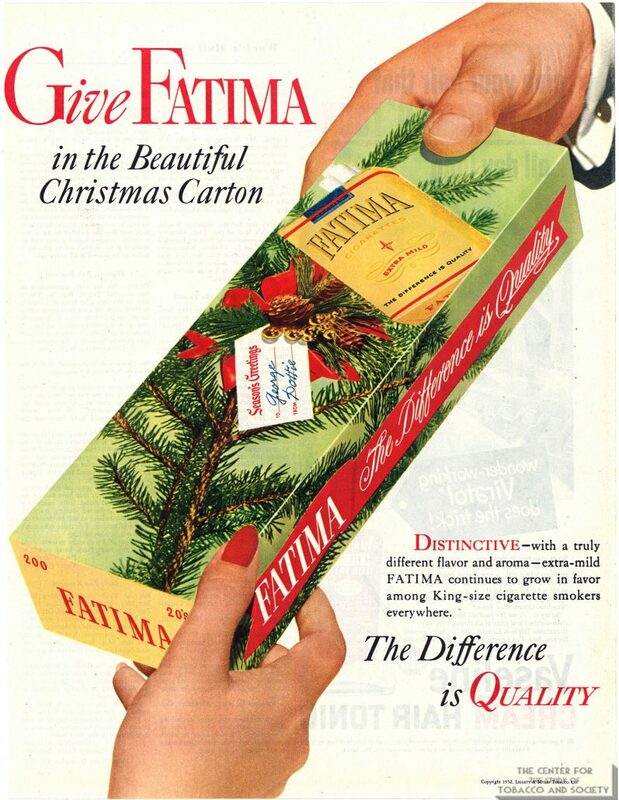 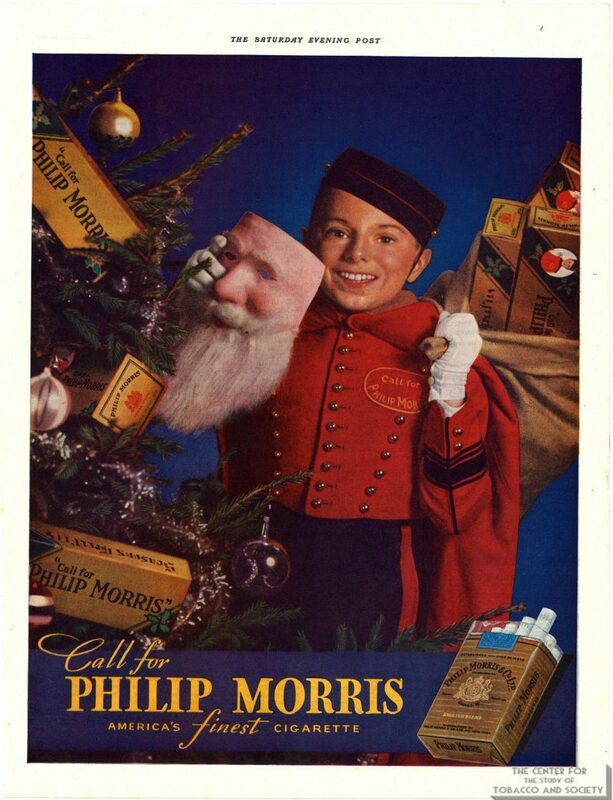 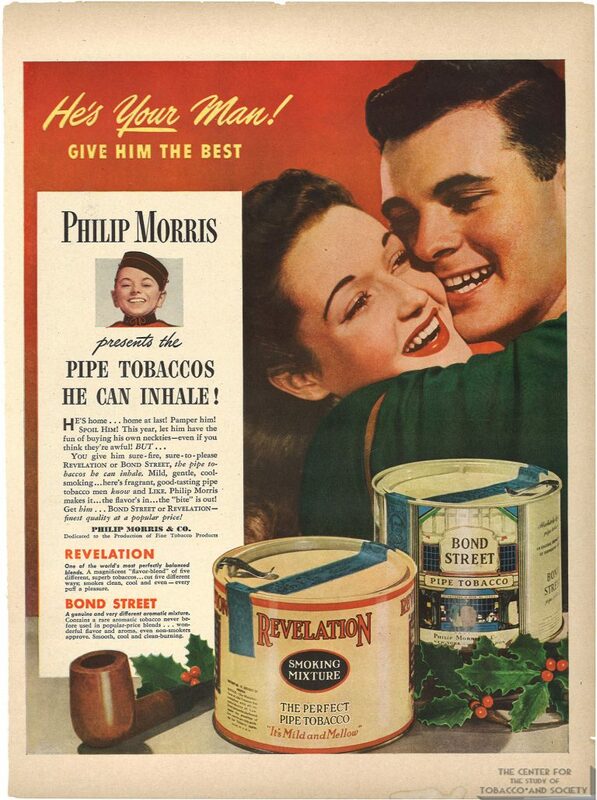 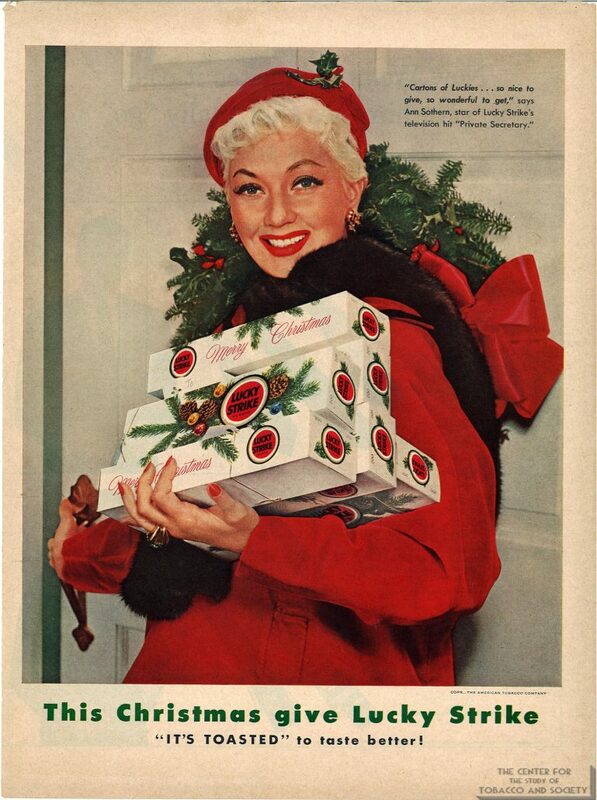 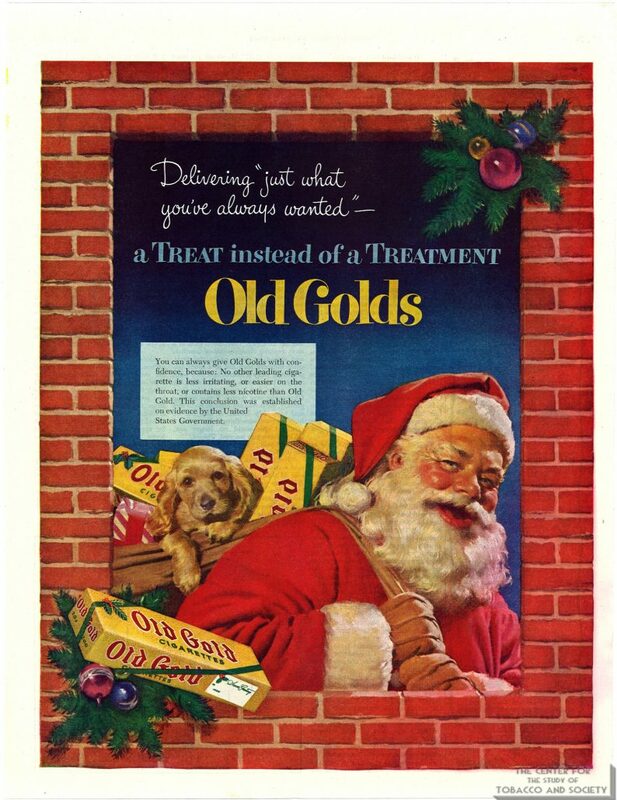 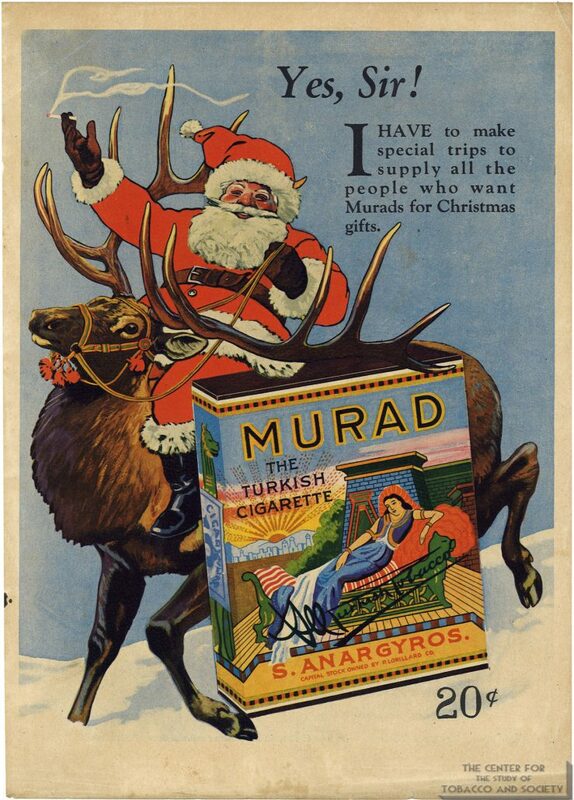 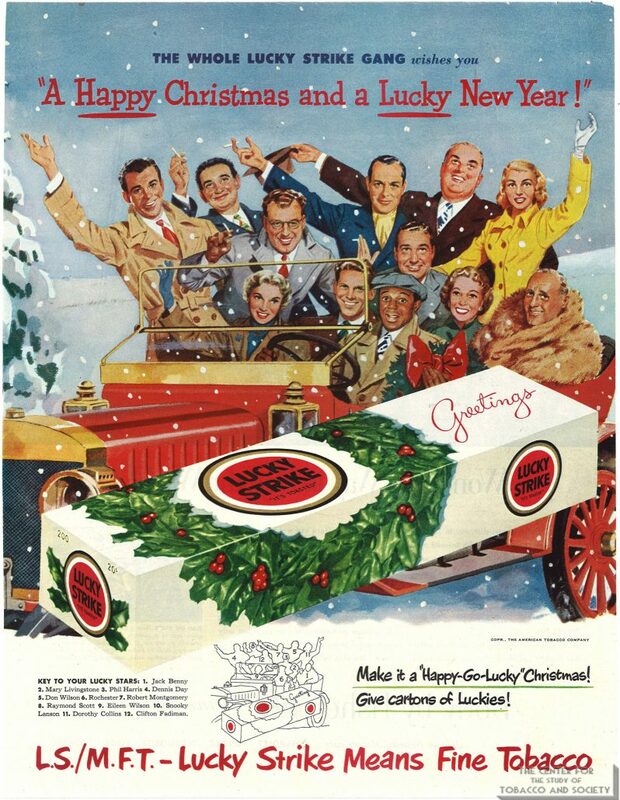 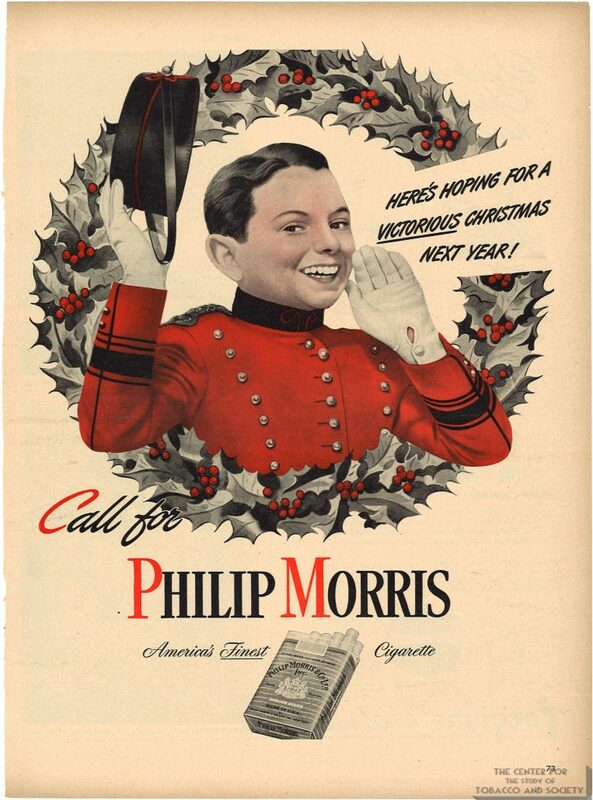 This exhibition highlights a small fraction of the magazine advertisements, mailings, and point-of-purchase promotions in which Christmas became synonymous with smoking. 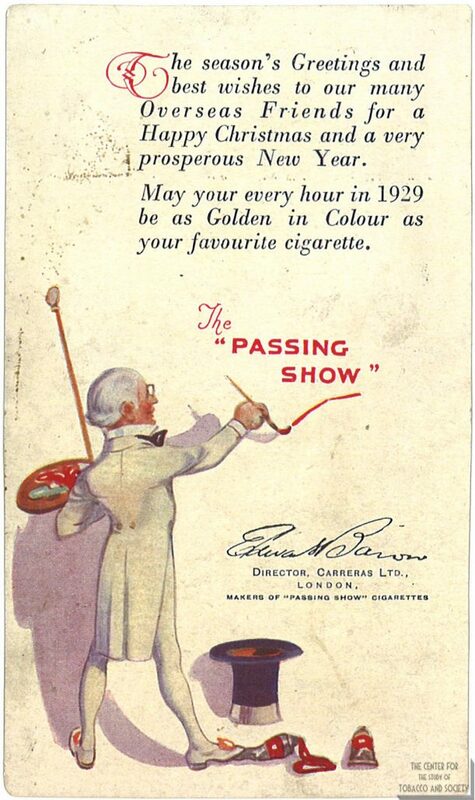 Scroll down to view all of the many images, videos, and links in the exhibition. 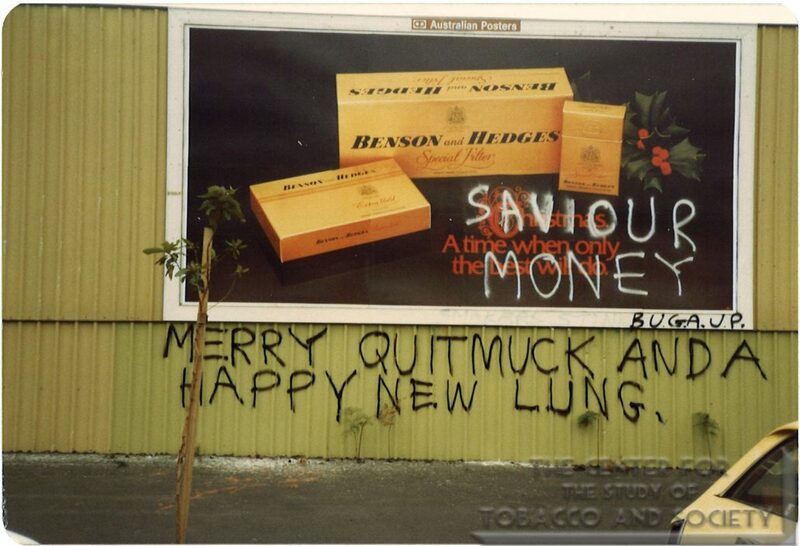 The title of this exhibition was inspired by the Australian health and anti-consumerism activist group B.U.G.A.-Up (Billboard Utilizing Graffitists Against Unhealthy Products), which galvanized public attention through satire to the ubiquitous advertising messages for cigarettes, beer, and junk food, as well as to sexist and racist imagery in many advertisements.